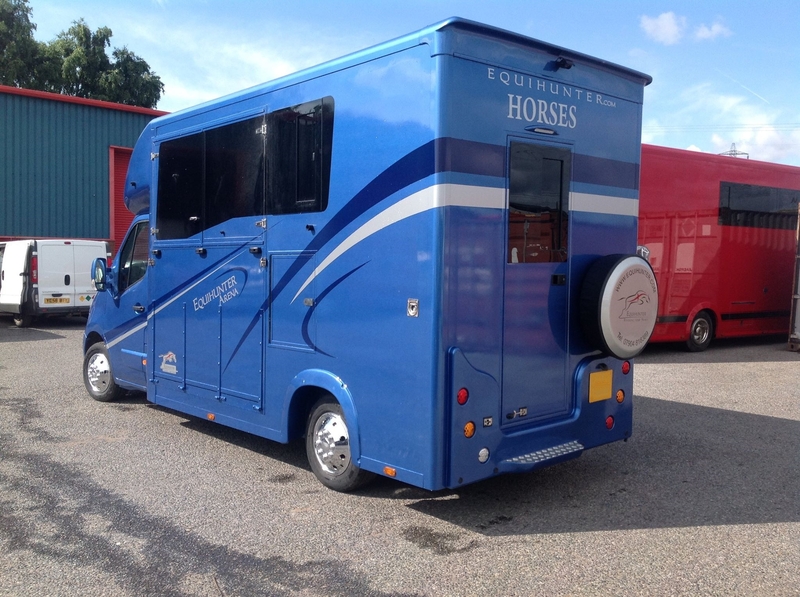 This lovely horsebox is being offered sale due to the imminent arrival of a new lorry. 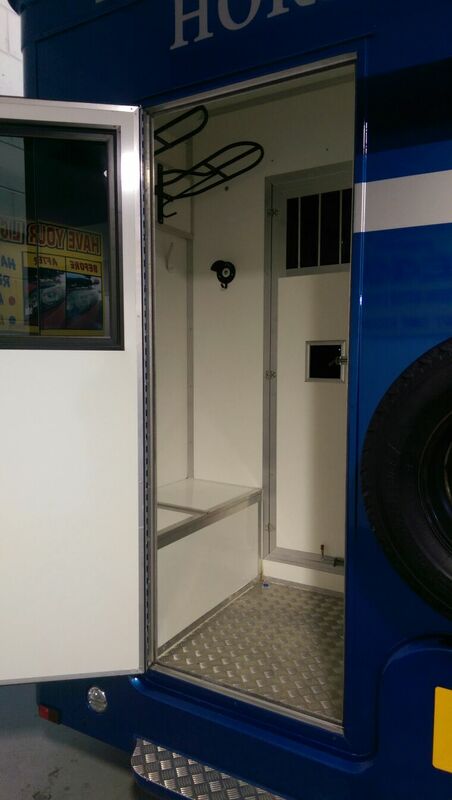 We are advertising this on behalf of our customer. 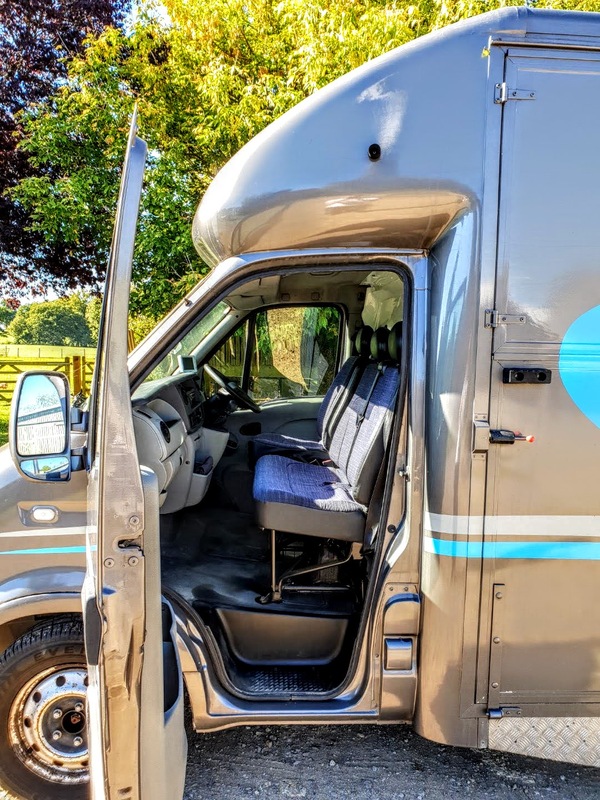 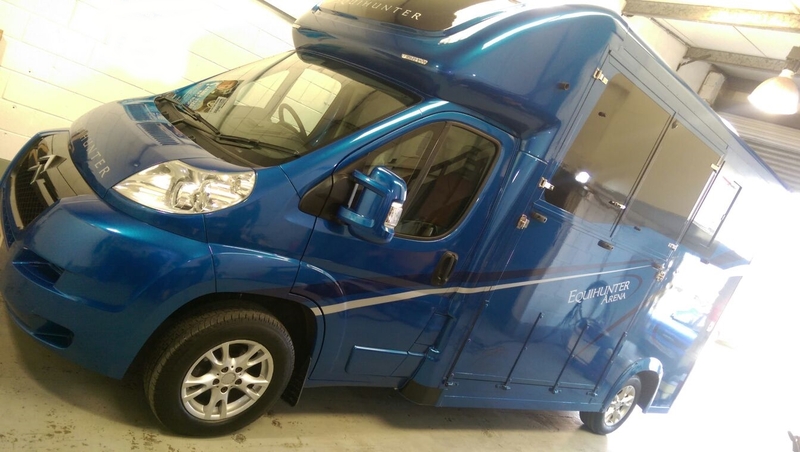 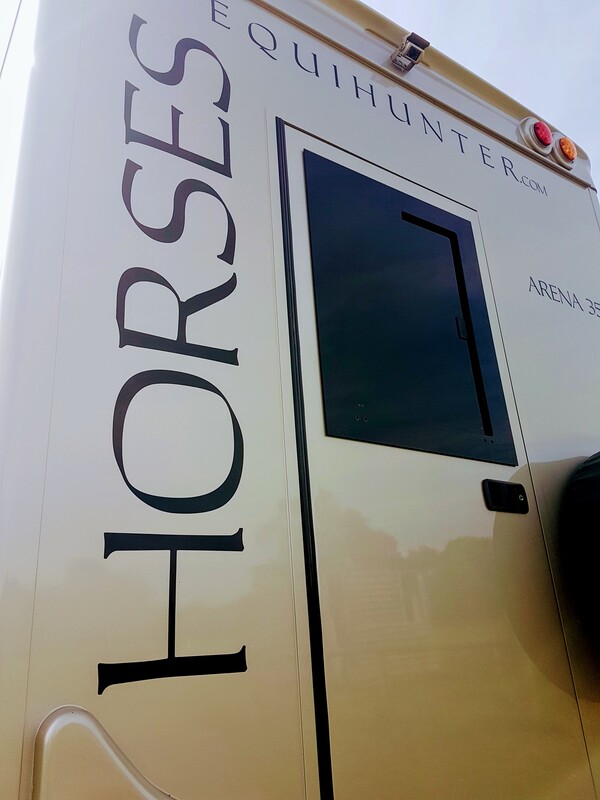 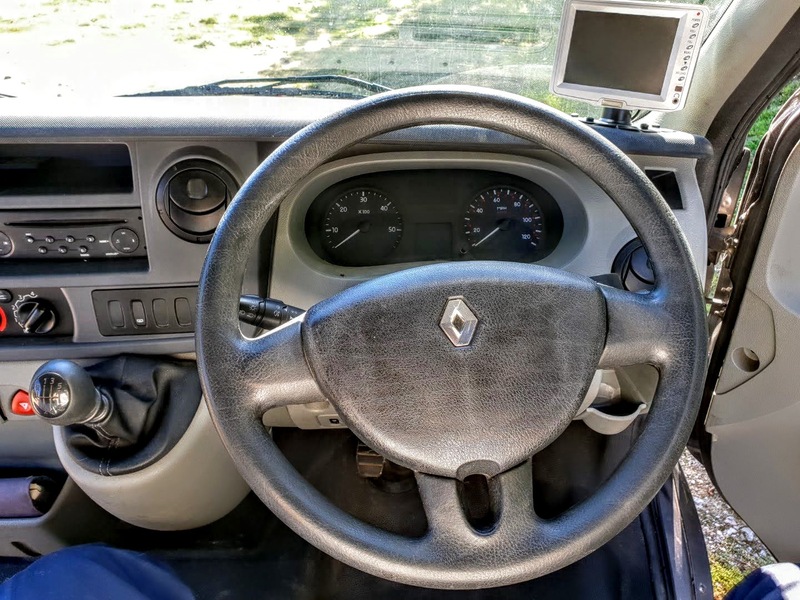 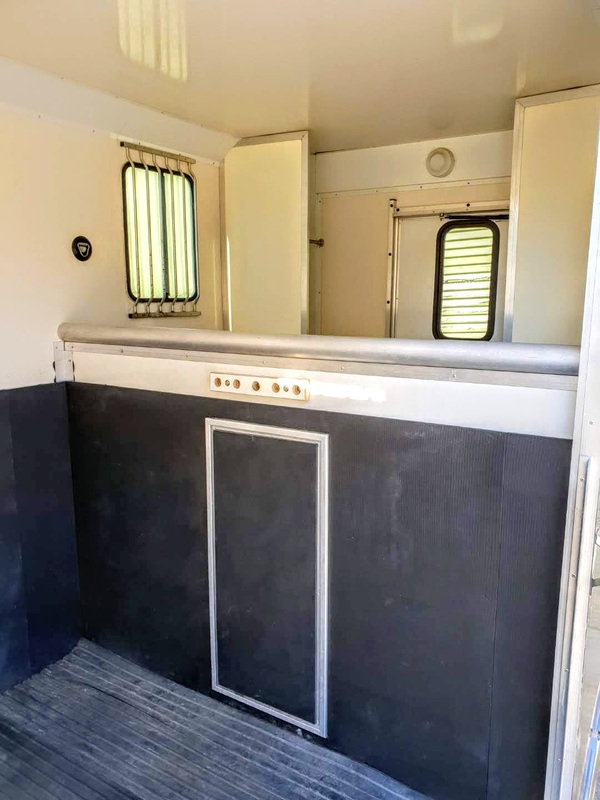 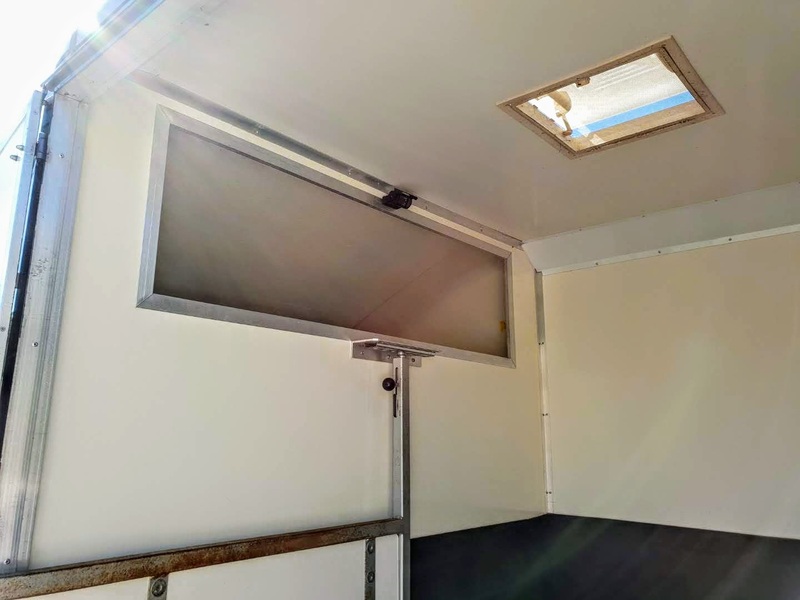 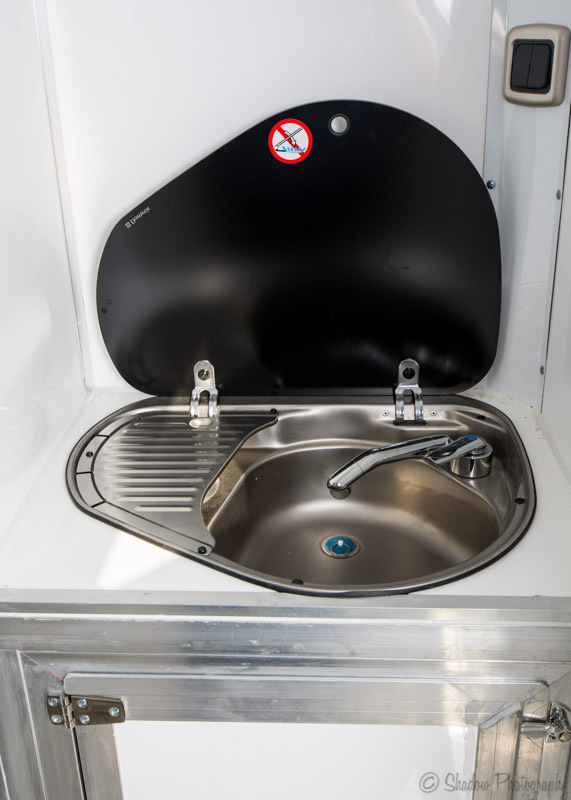 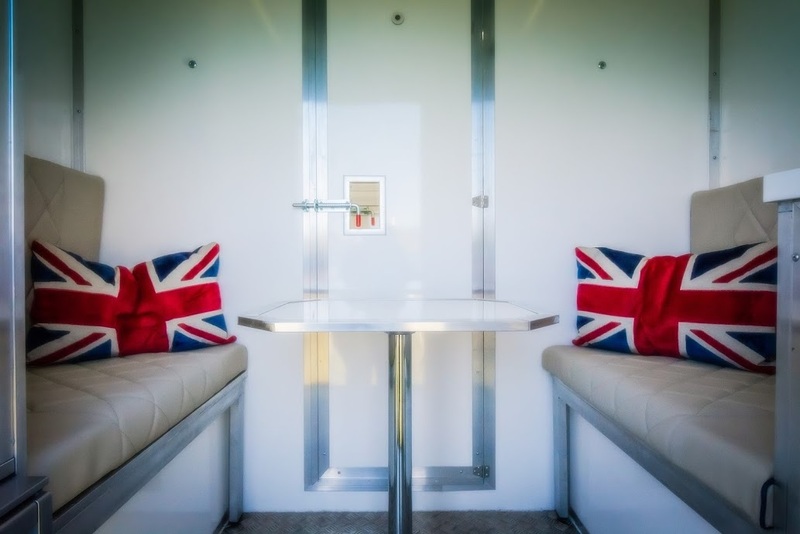 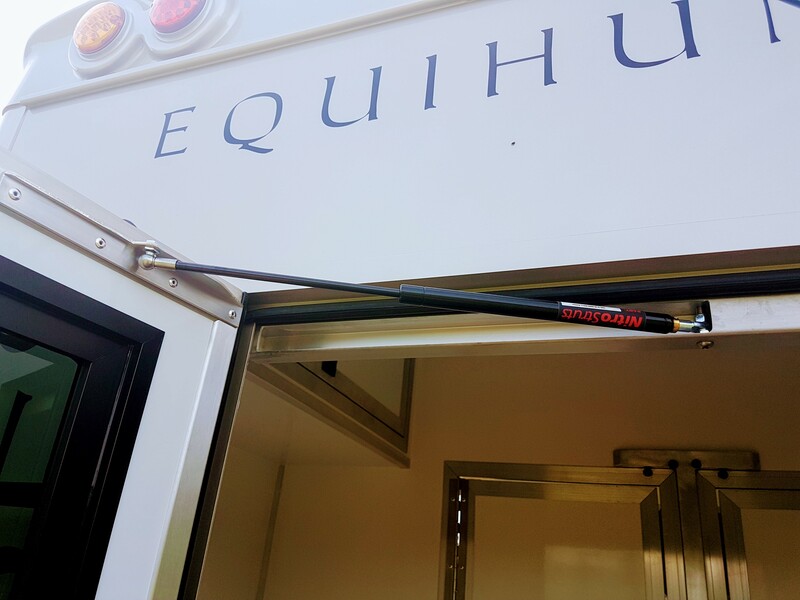 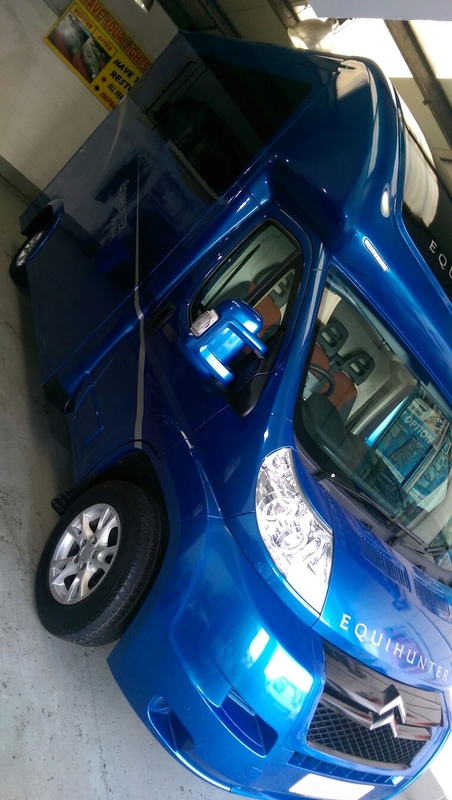 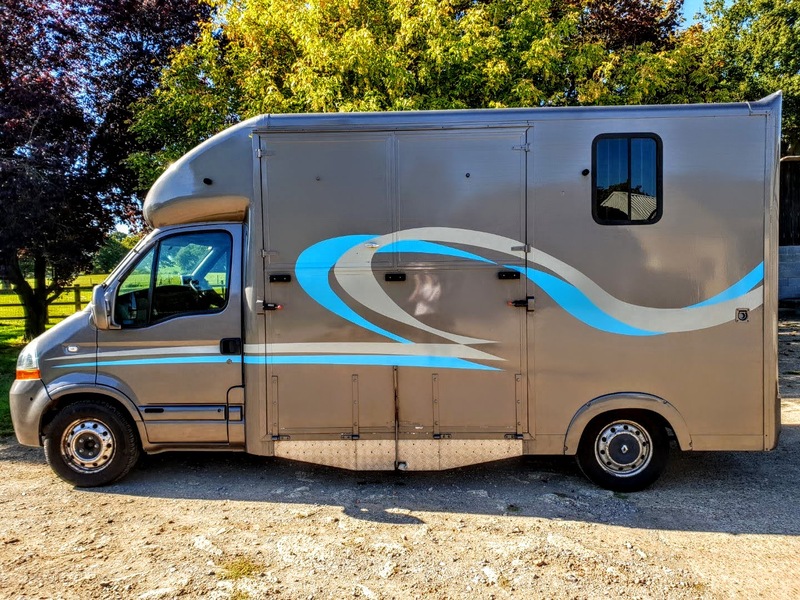 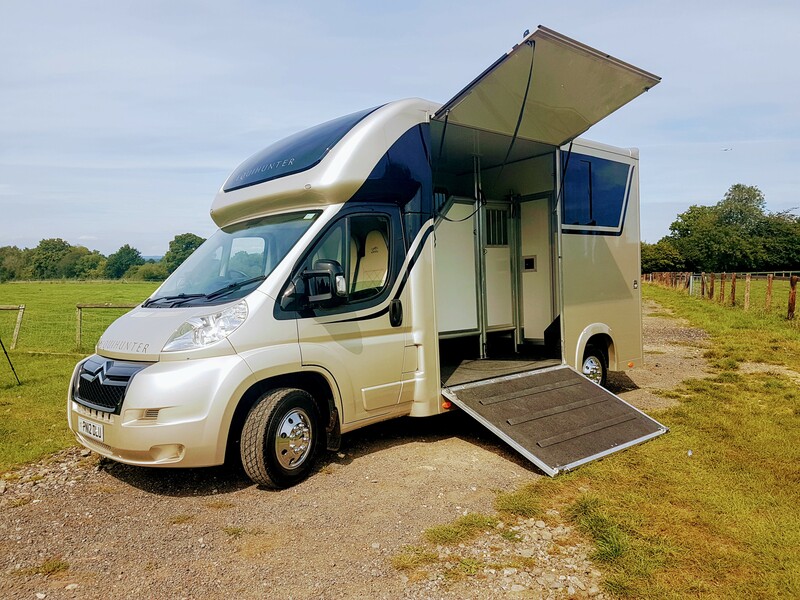 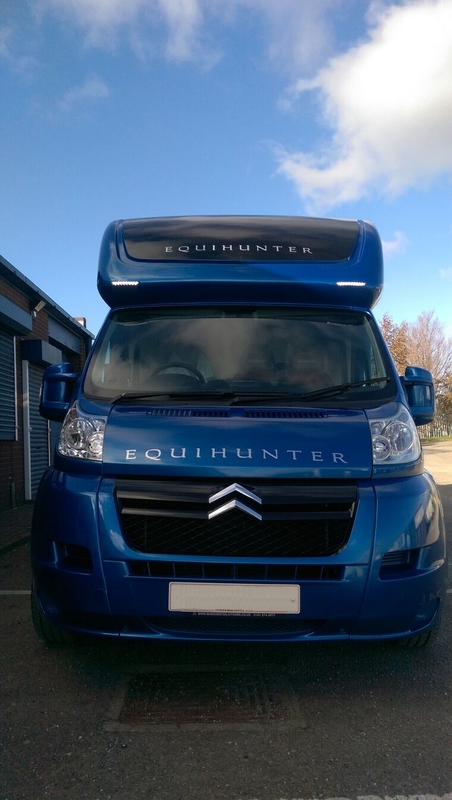 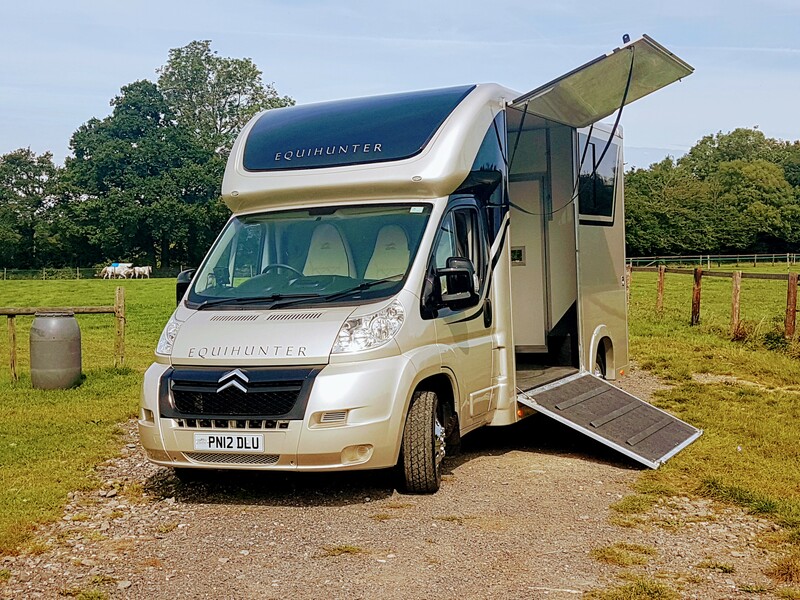 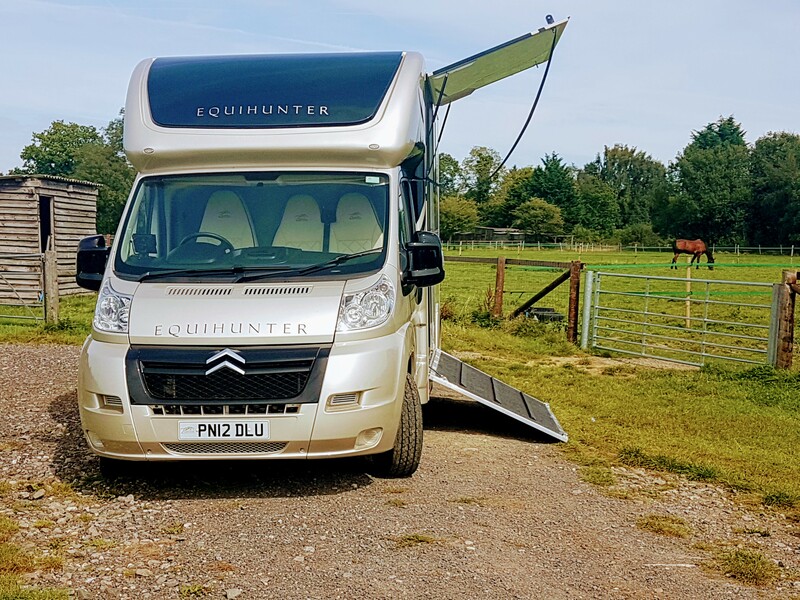 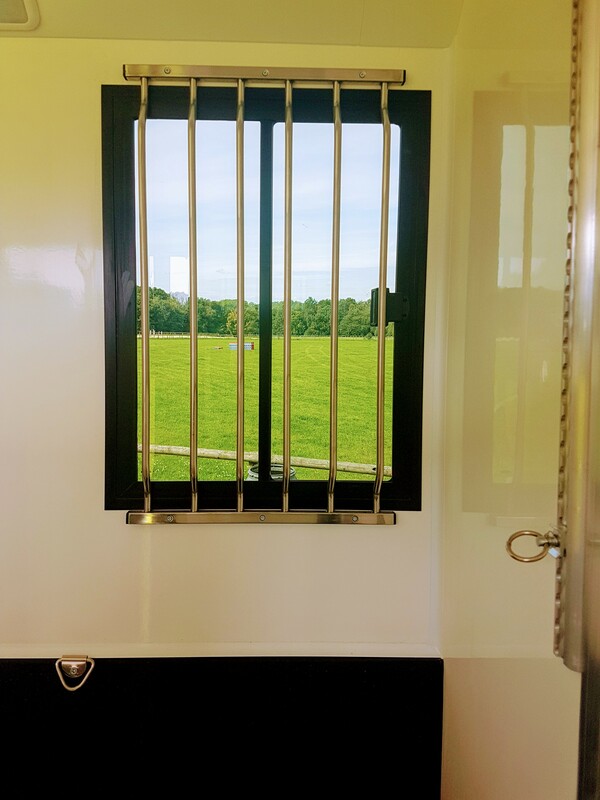 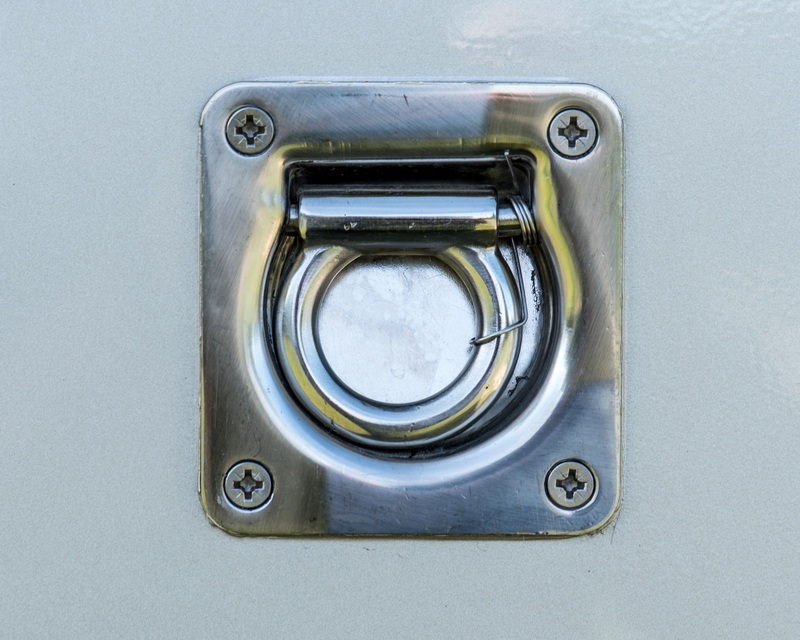 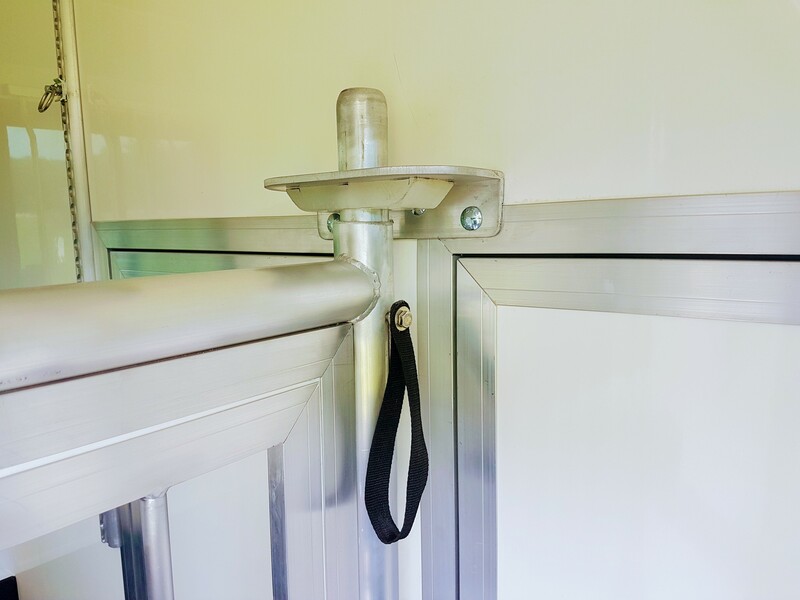 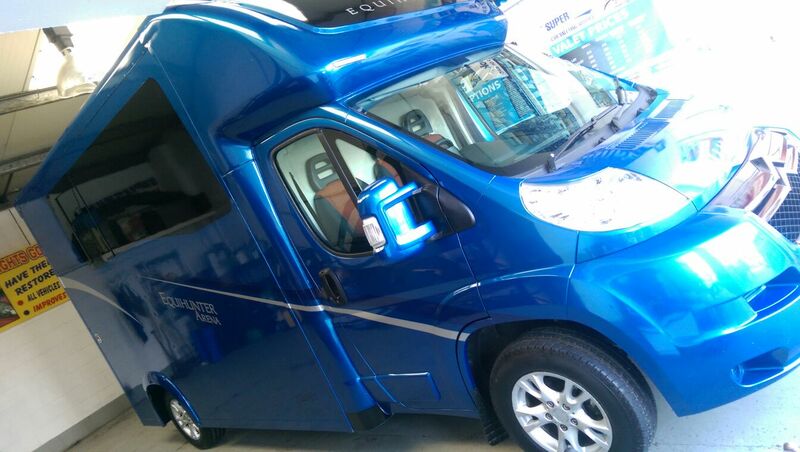 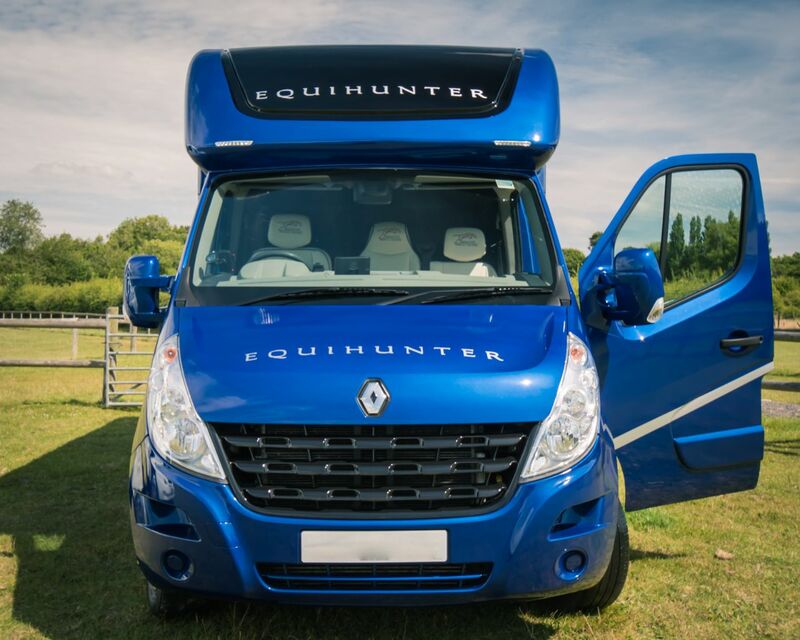 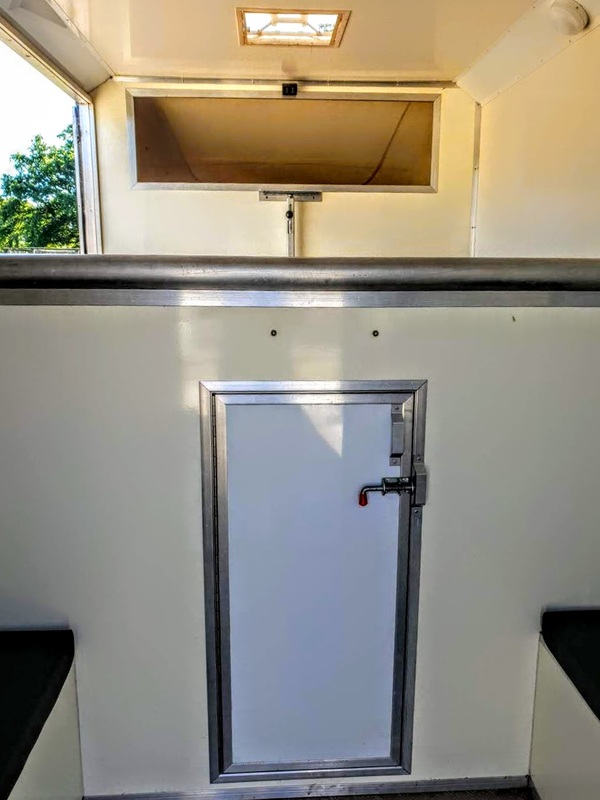 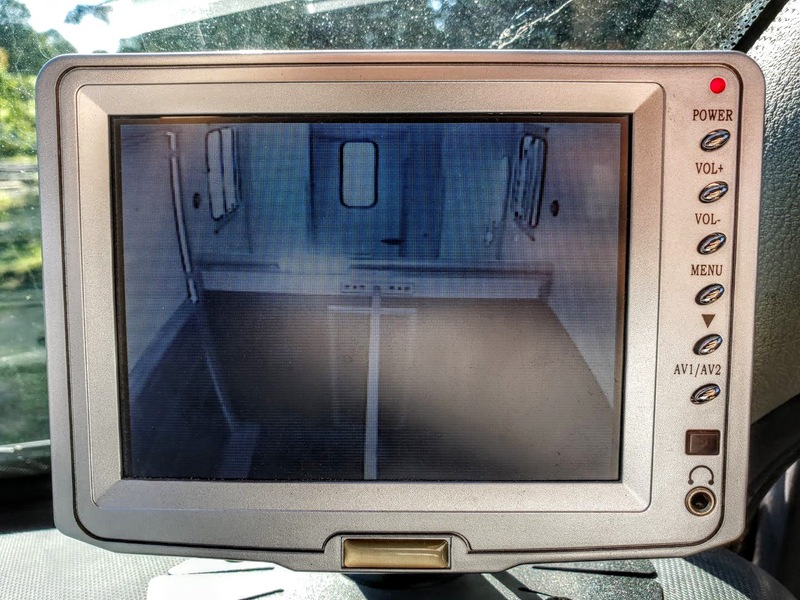 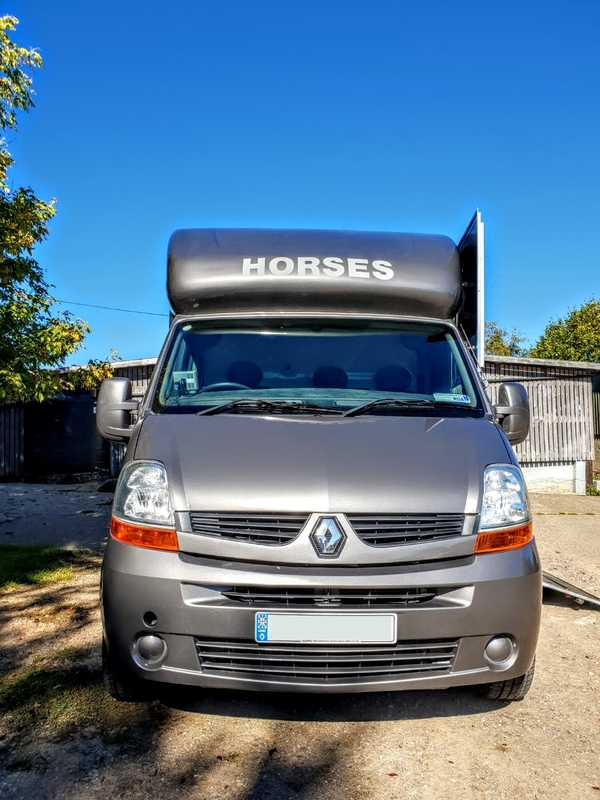 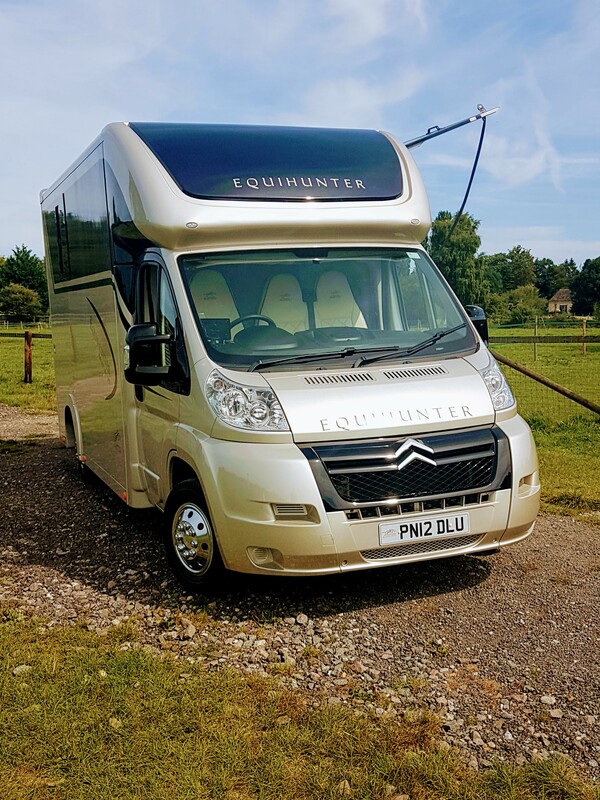 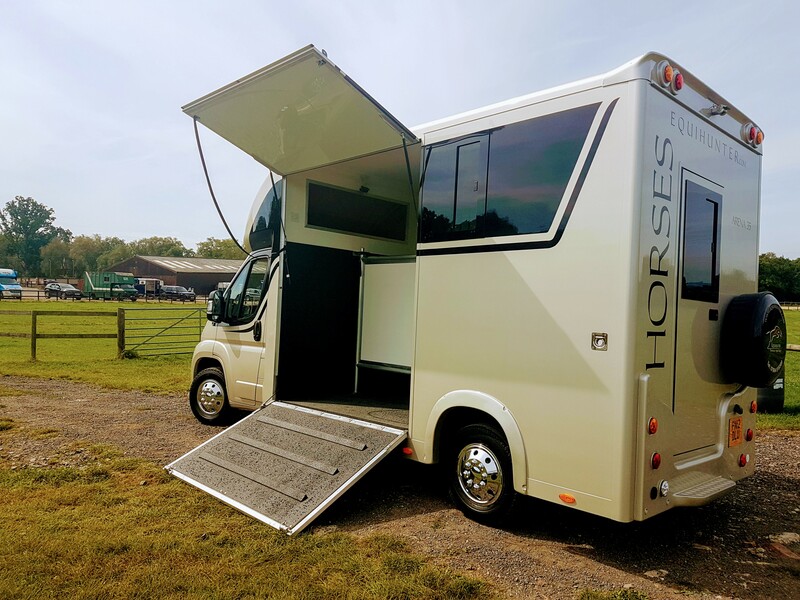 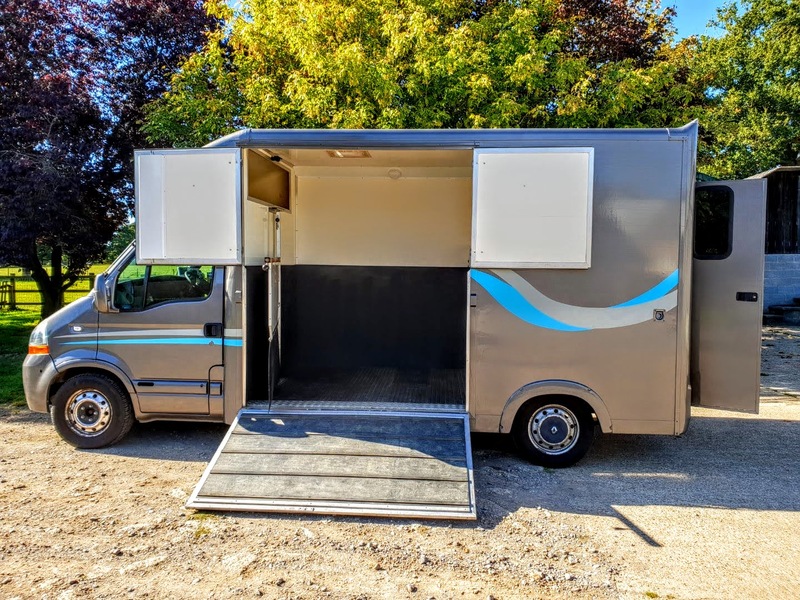 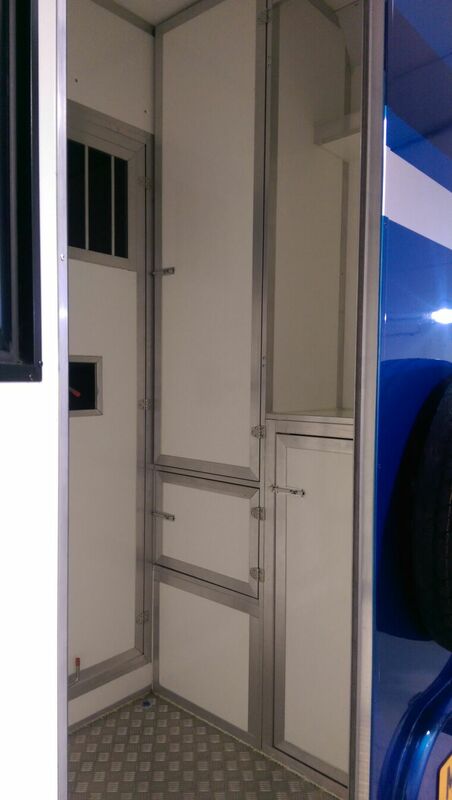 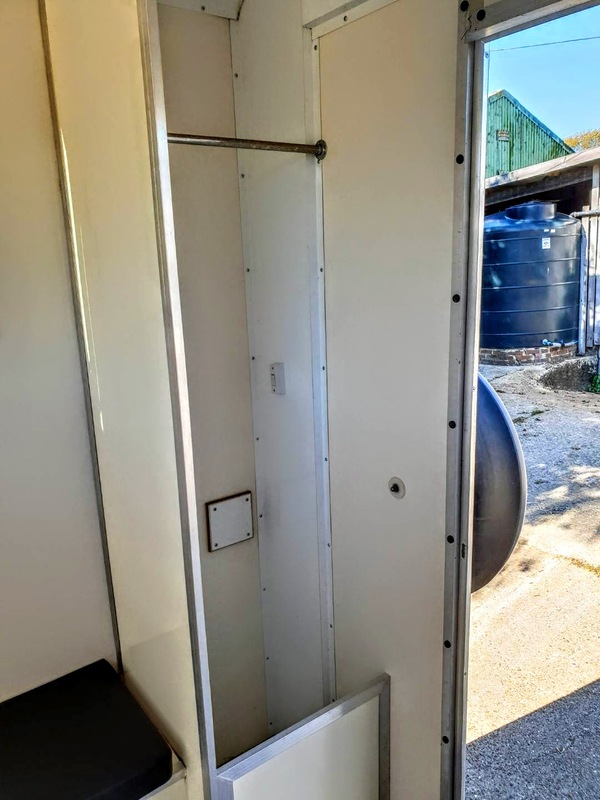 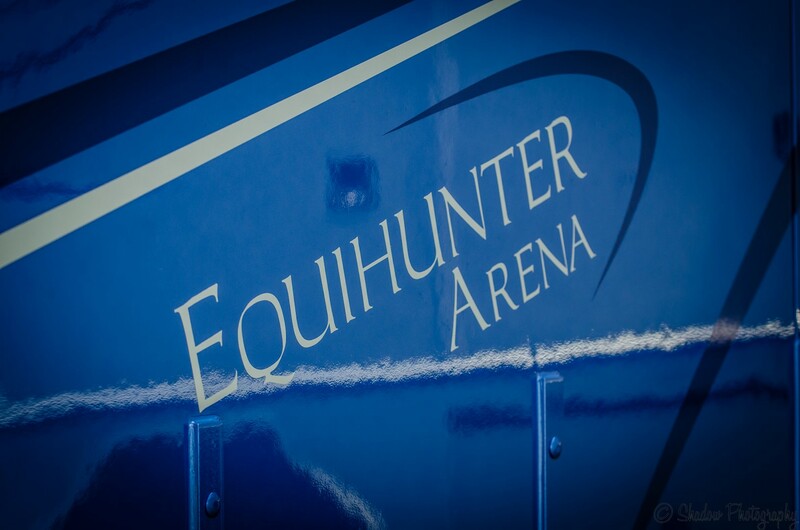 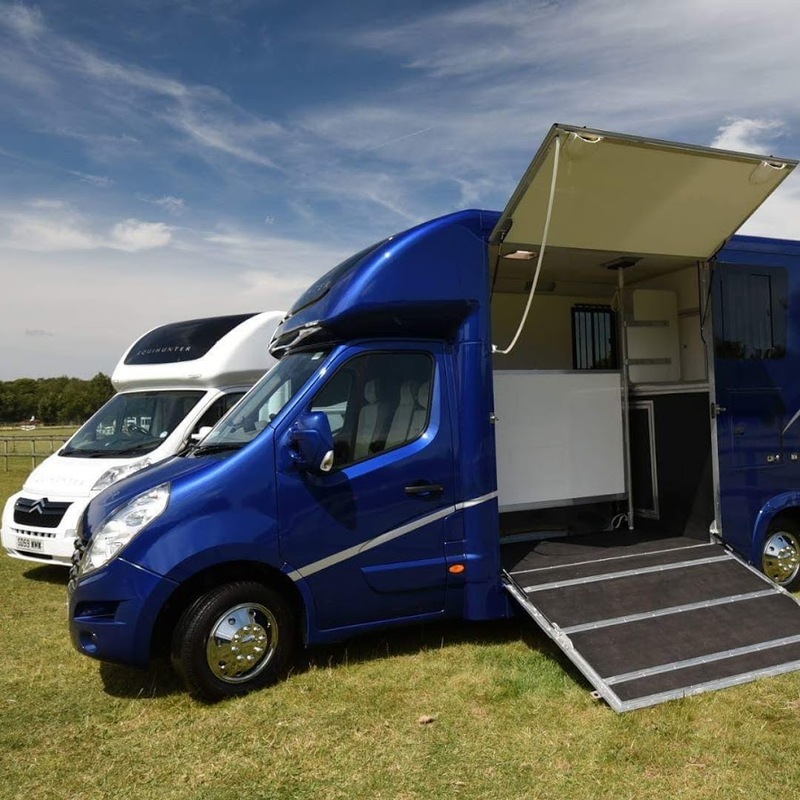 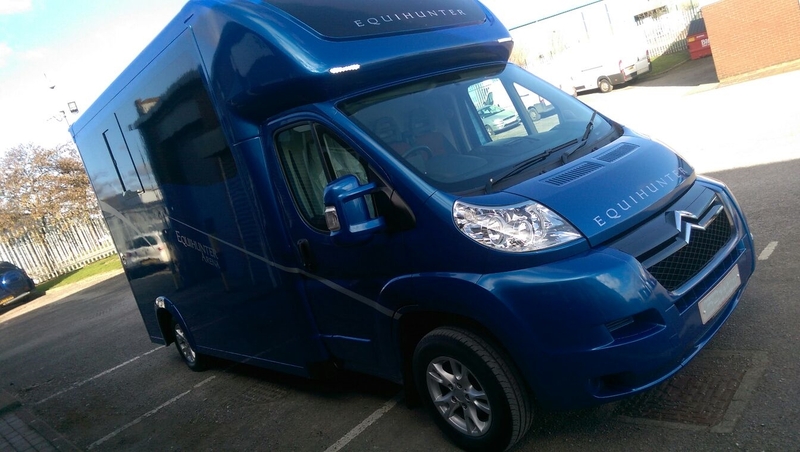 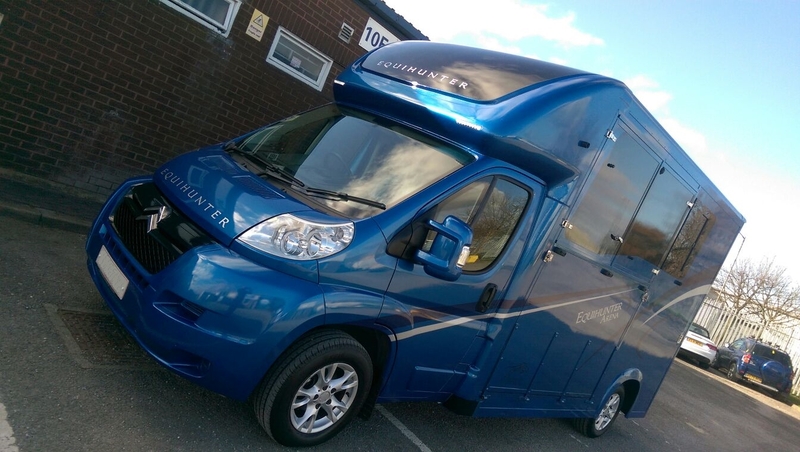 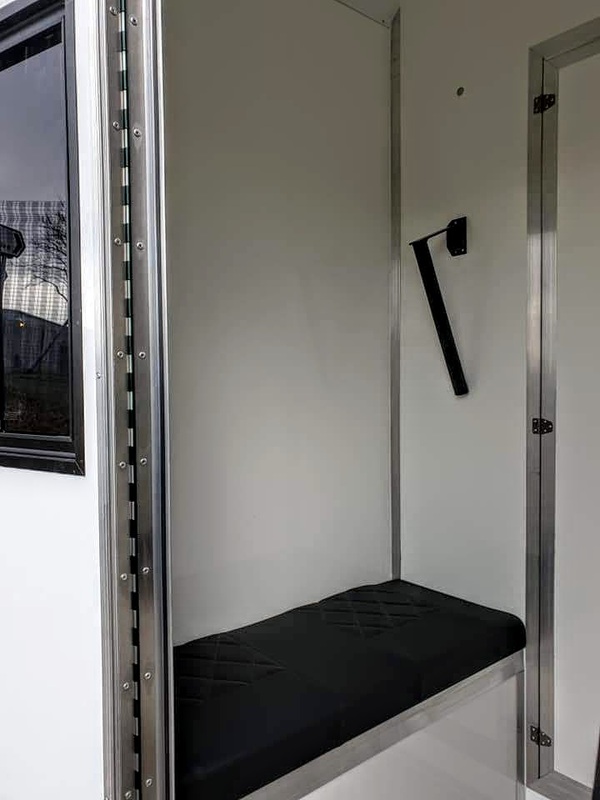 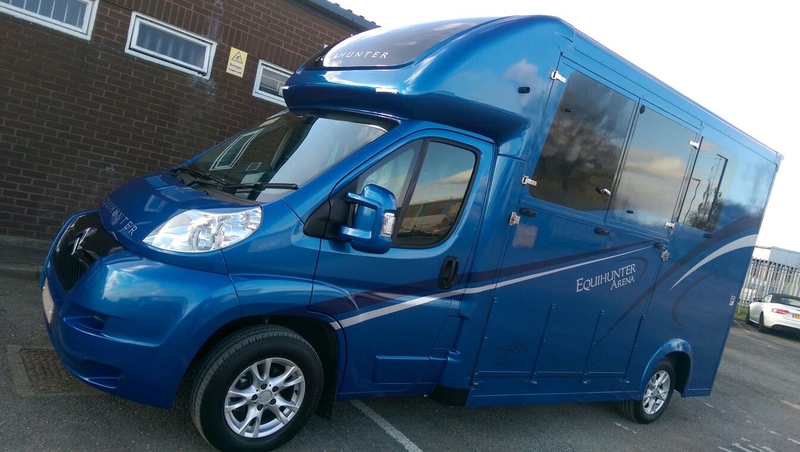 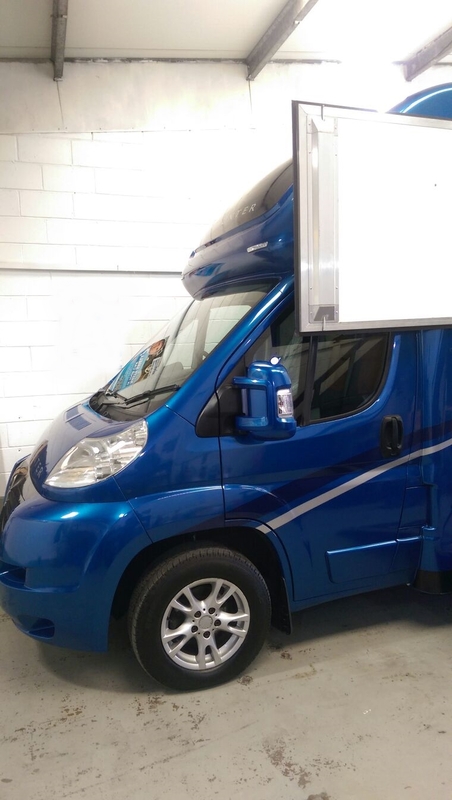 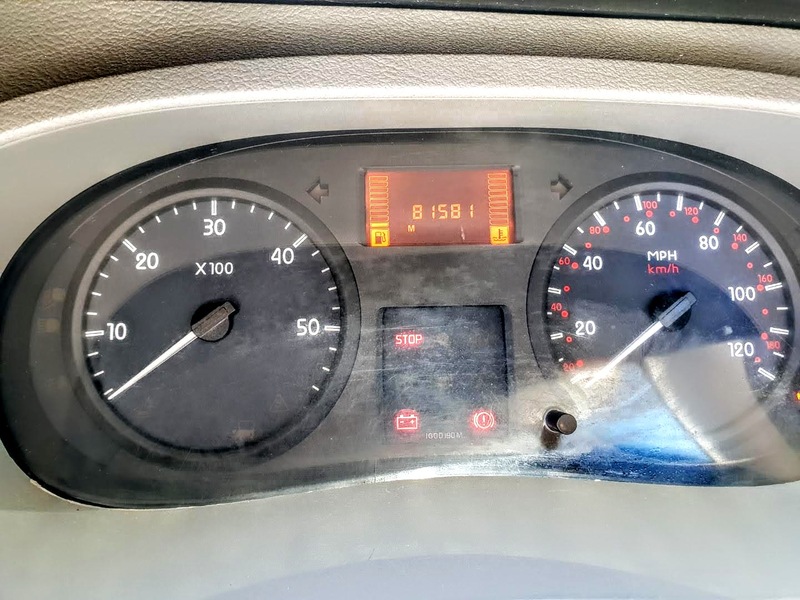 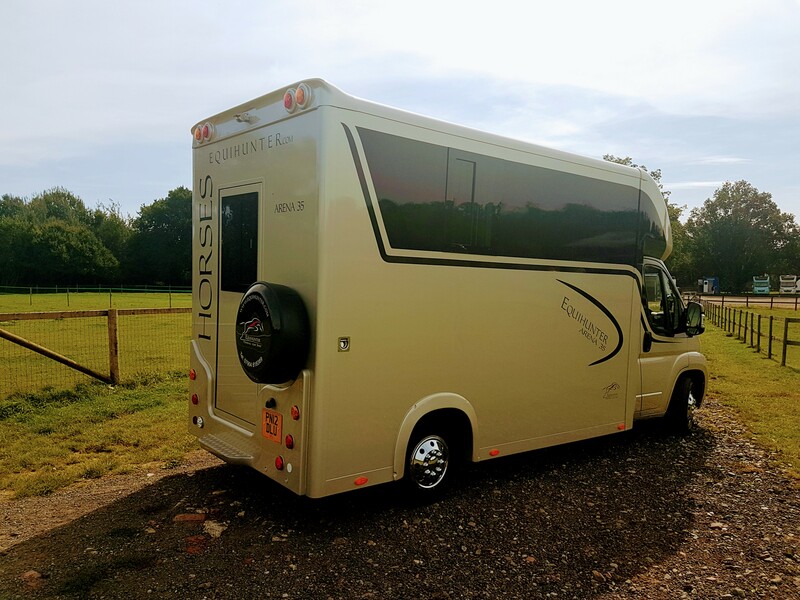 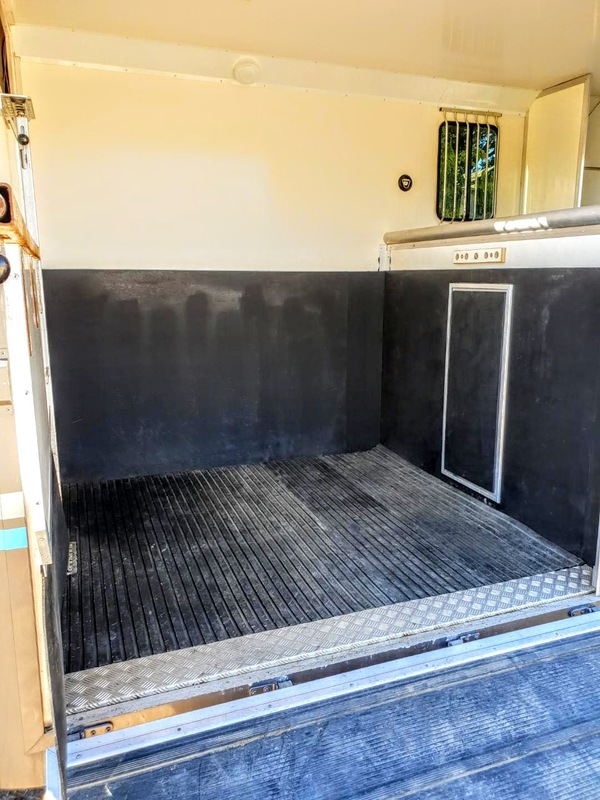 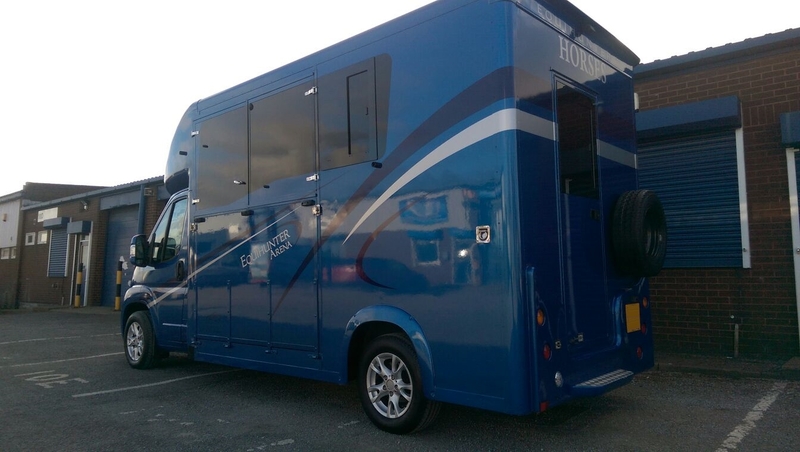 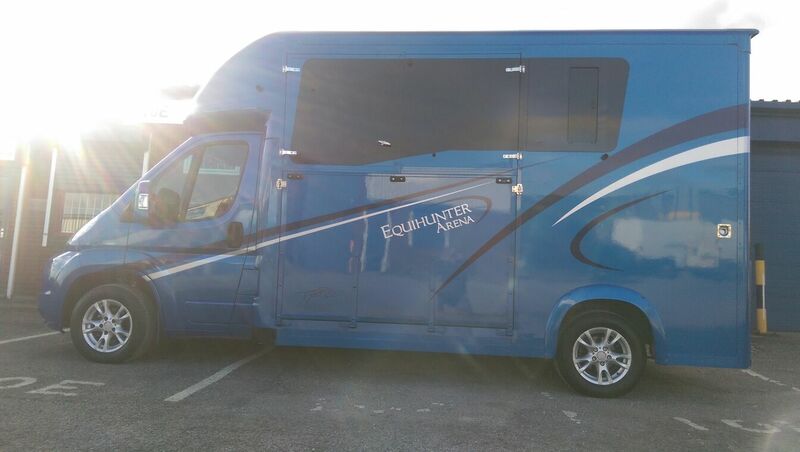 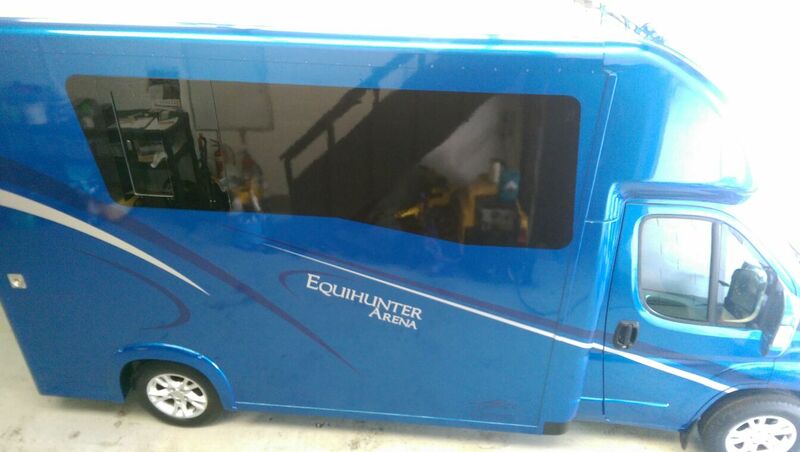 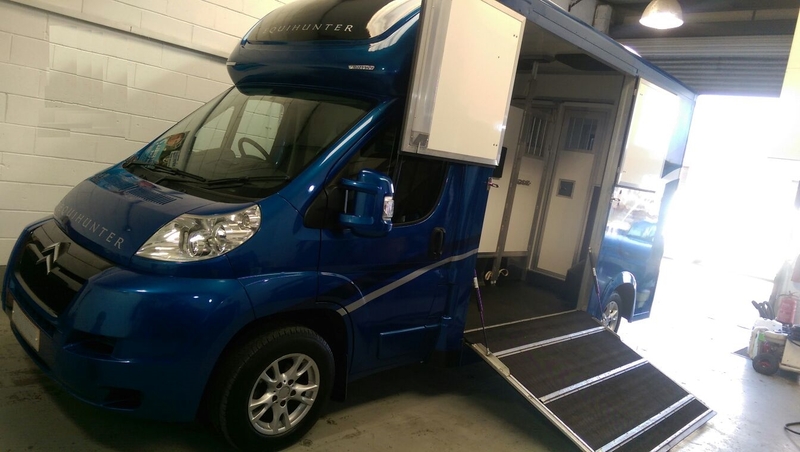 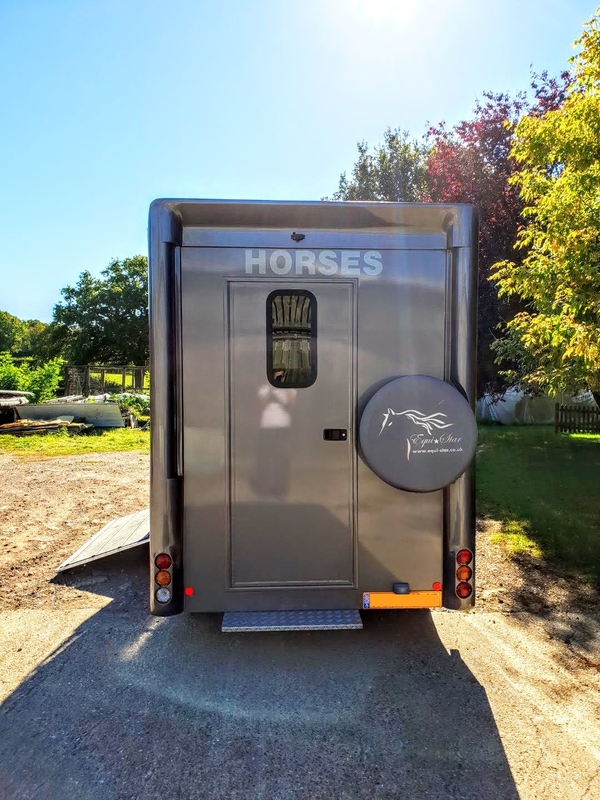 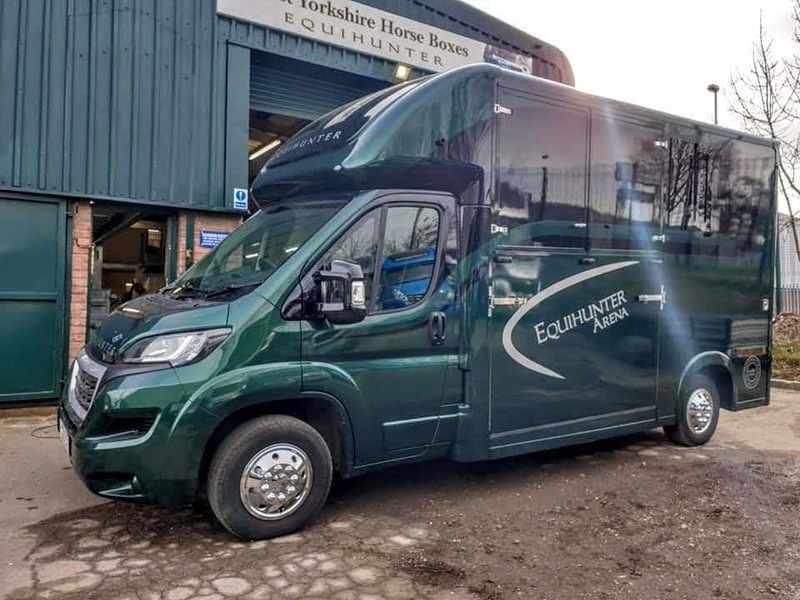 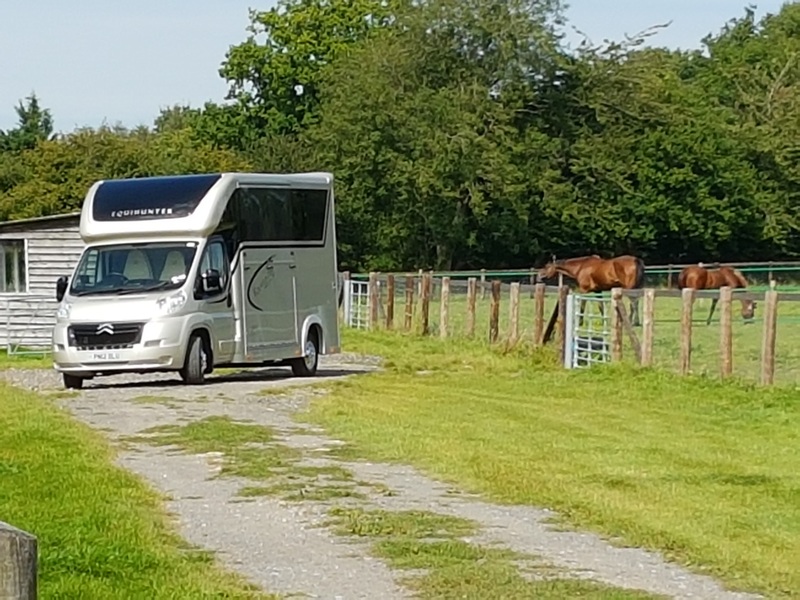 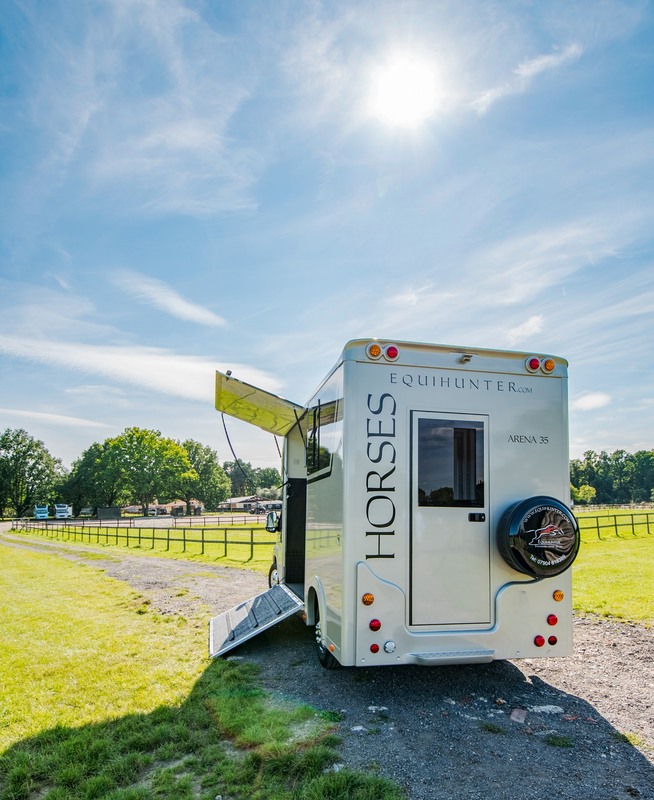 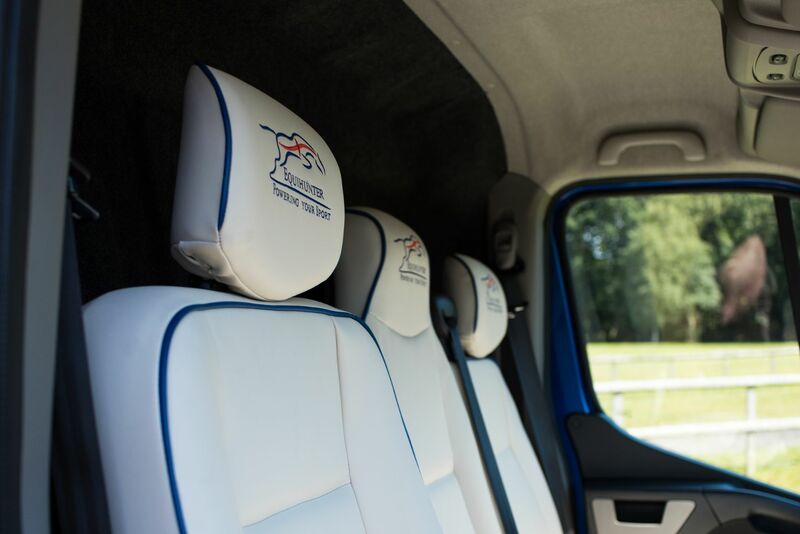 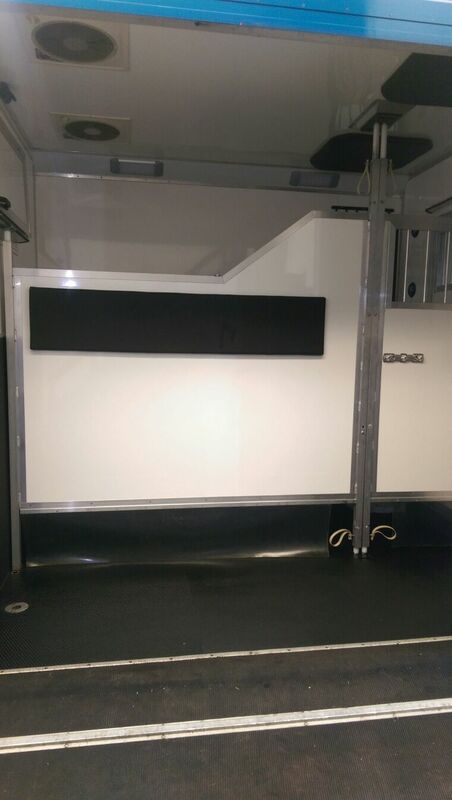 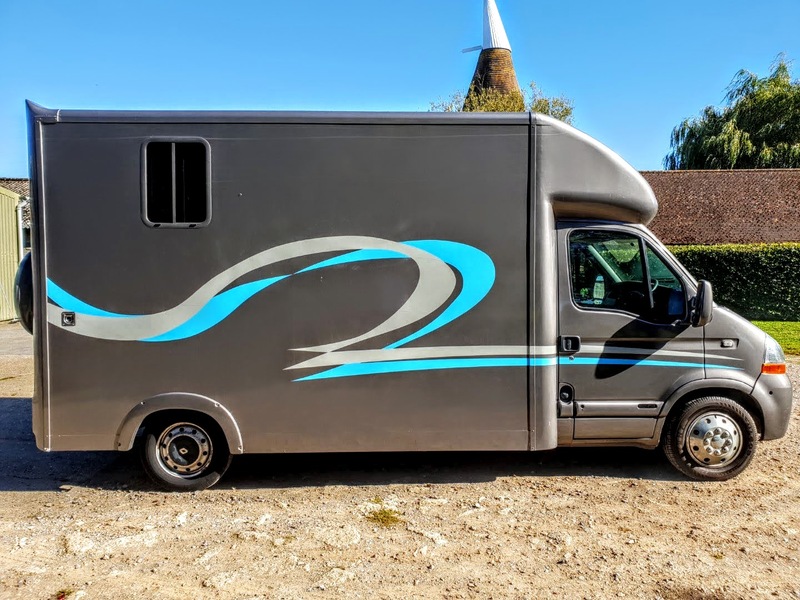 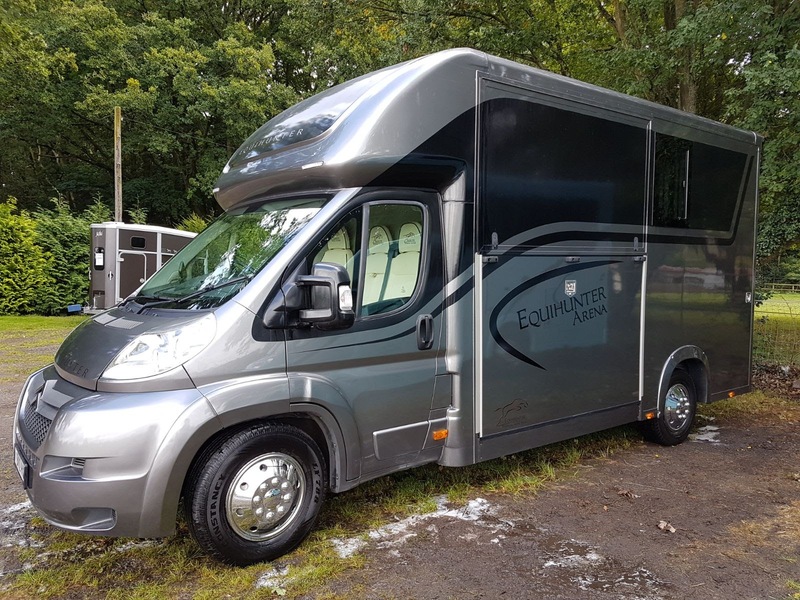 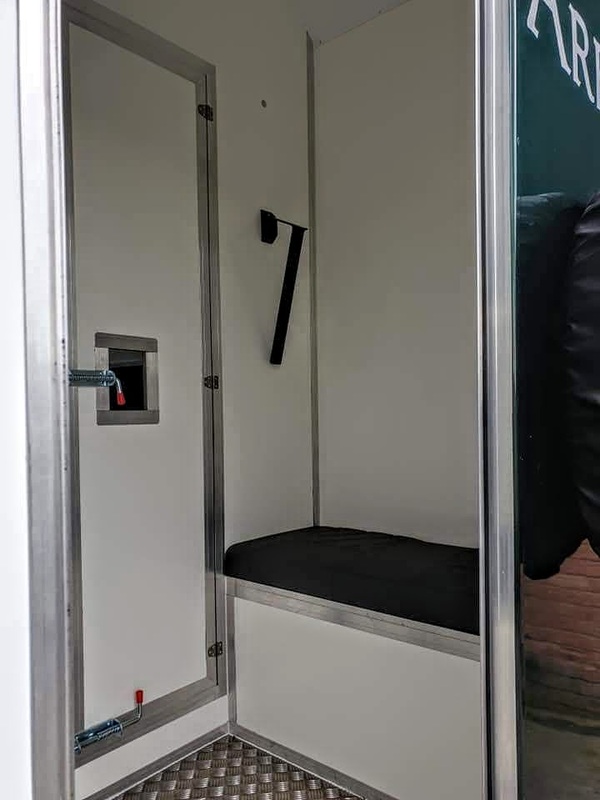 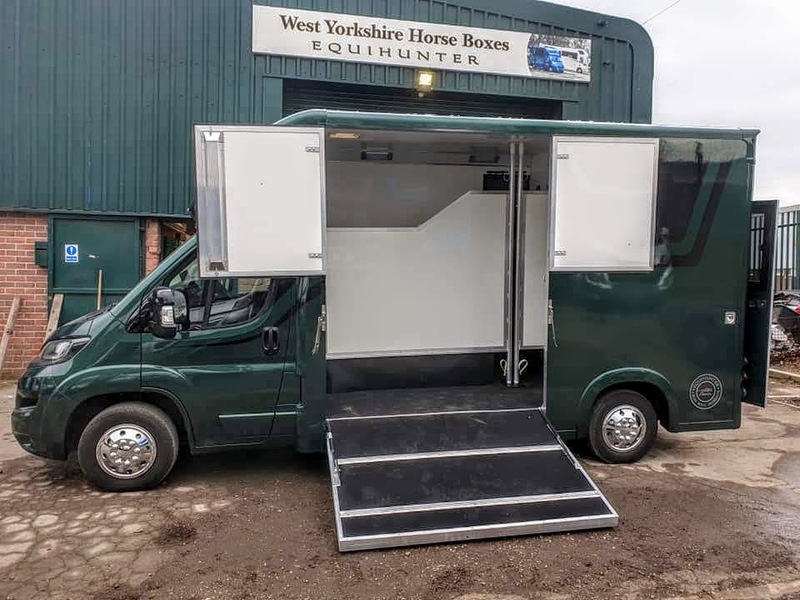 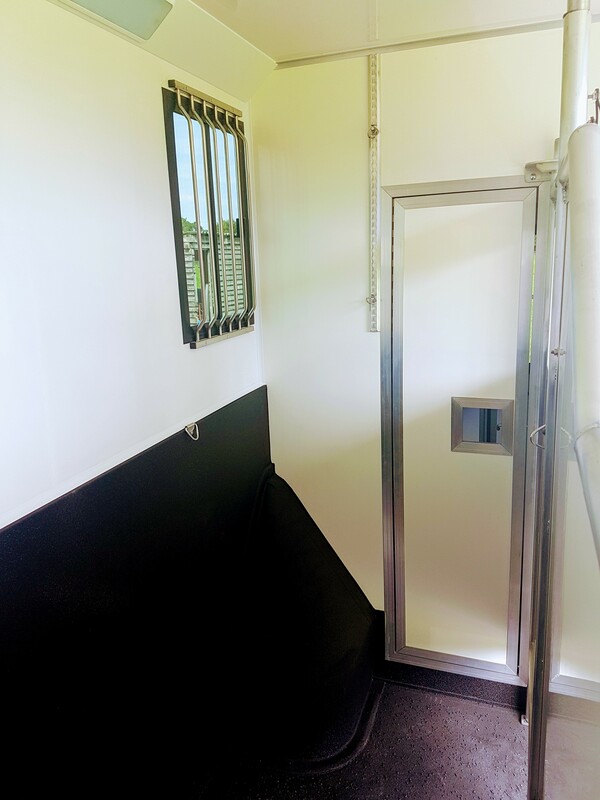 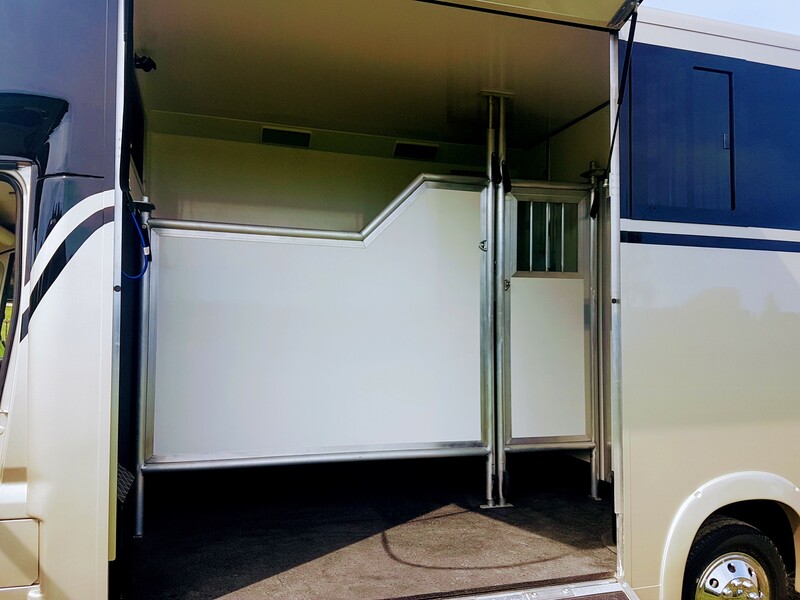 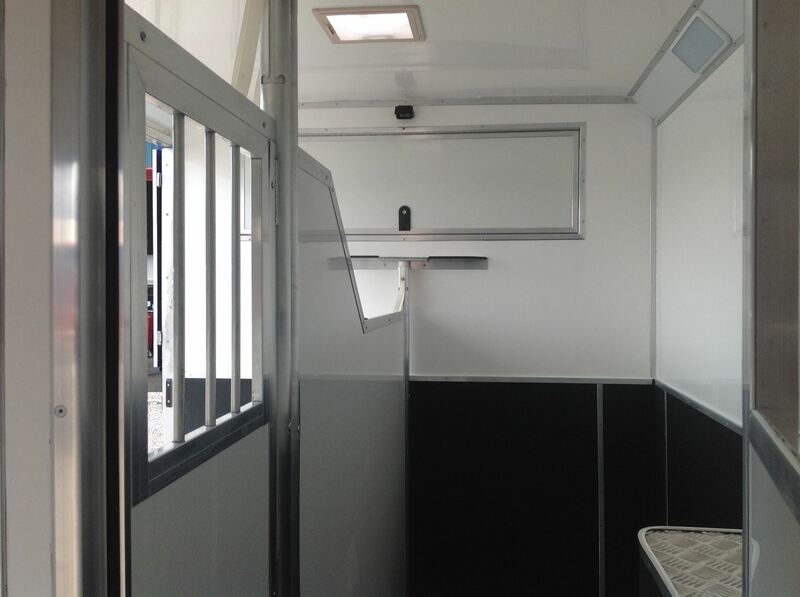 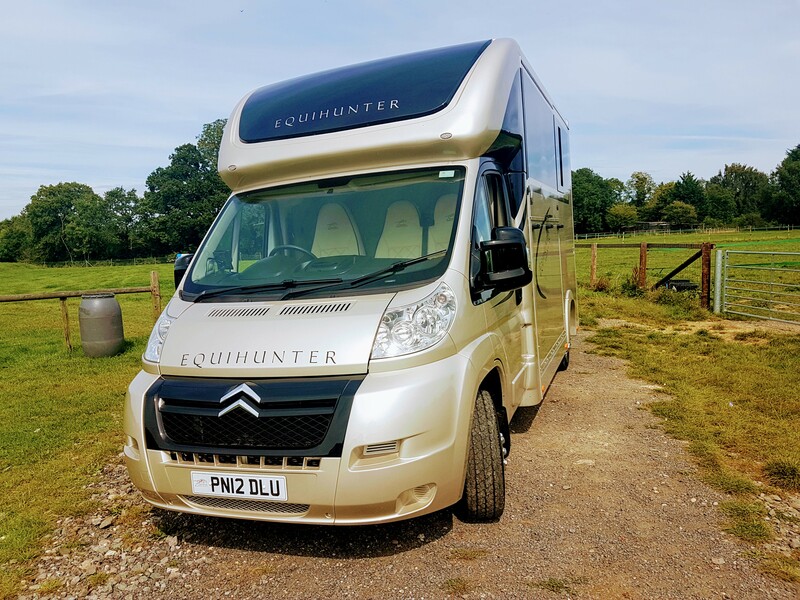 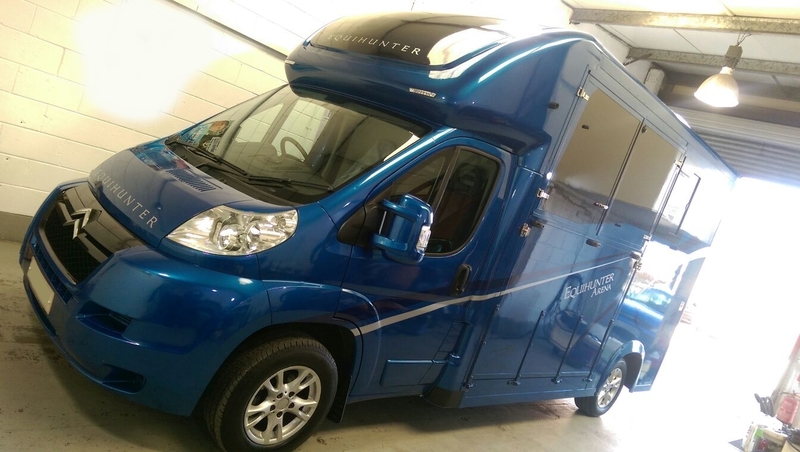 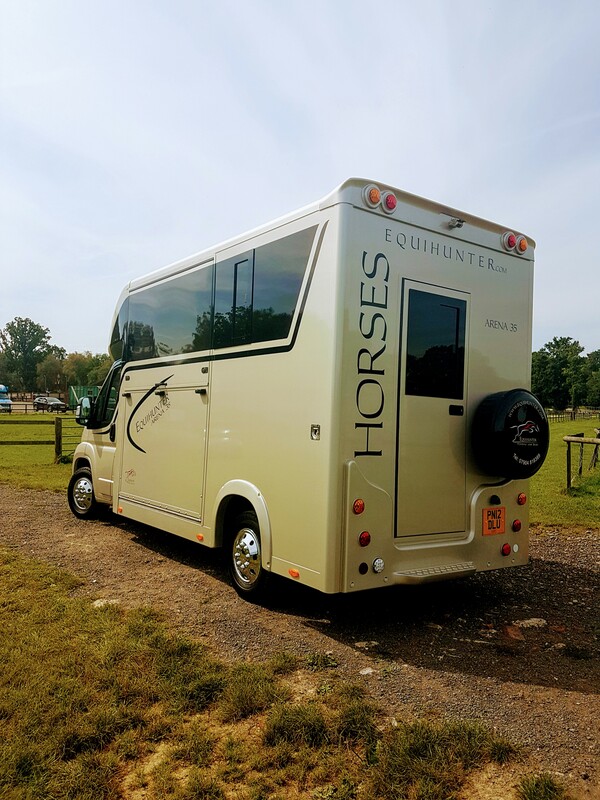 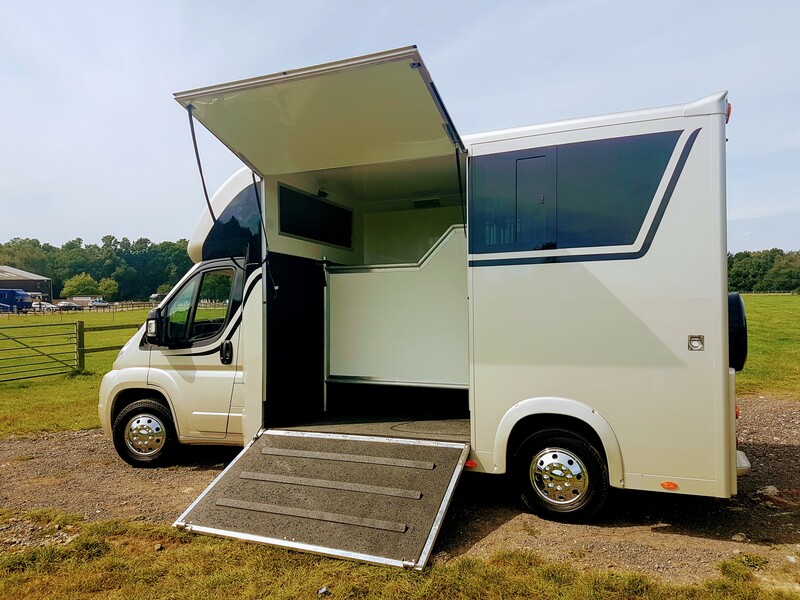 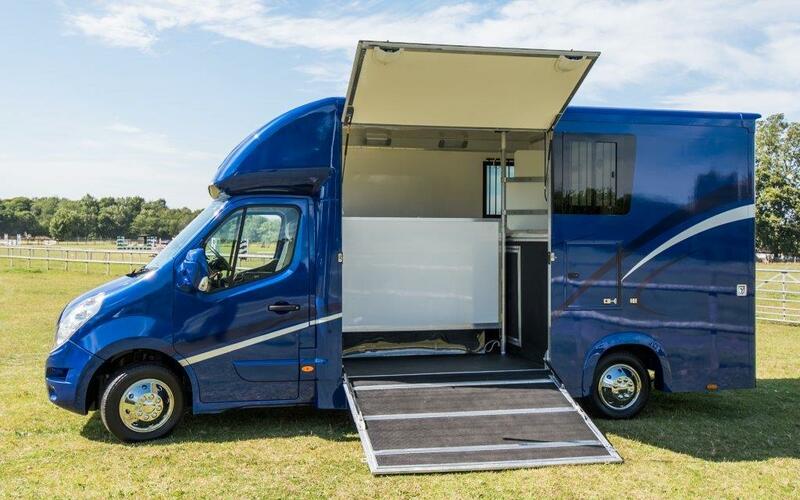 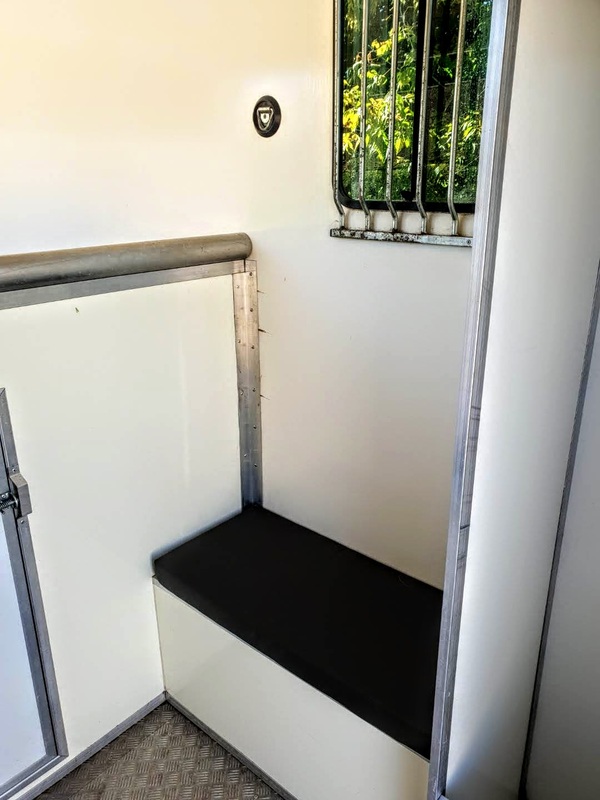 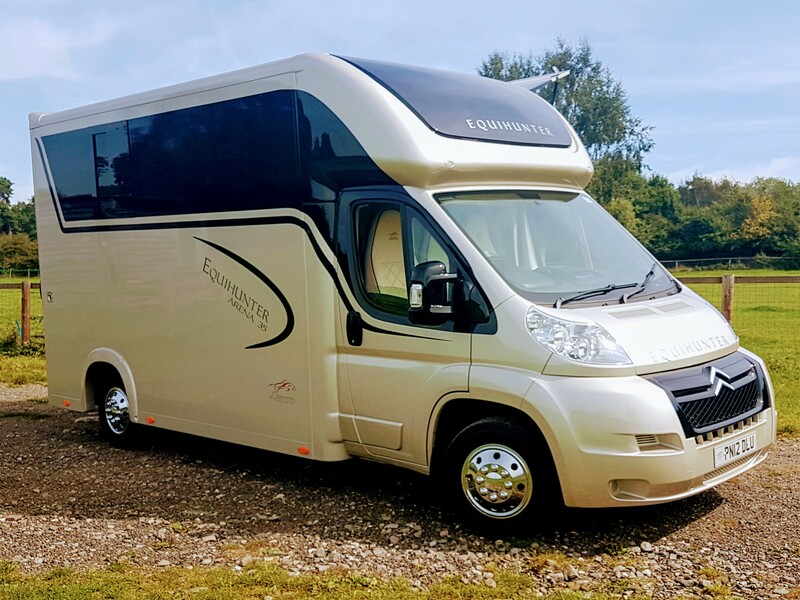 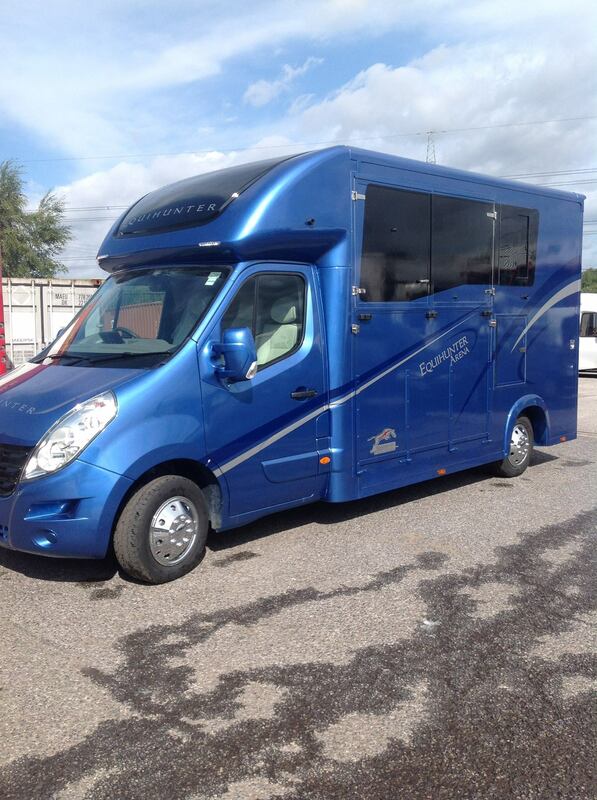 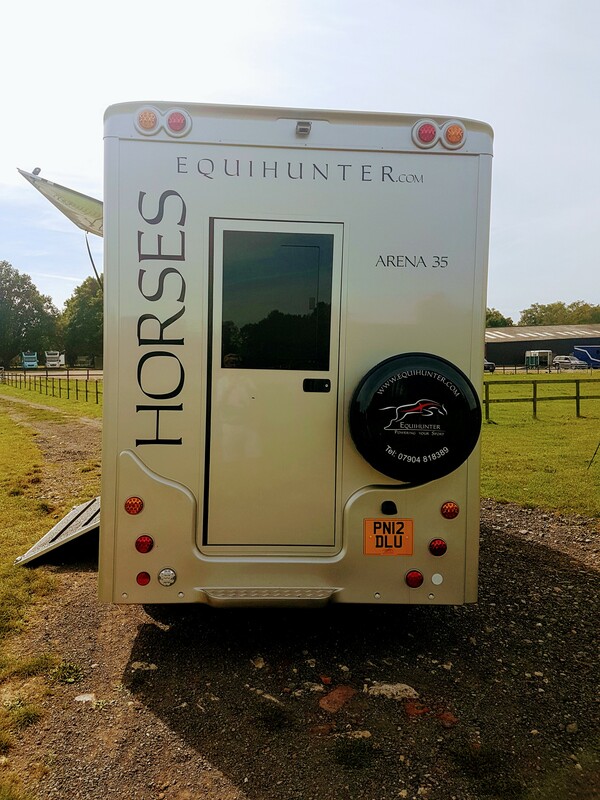 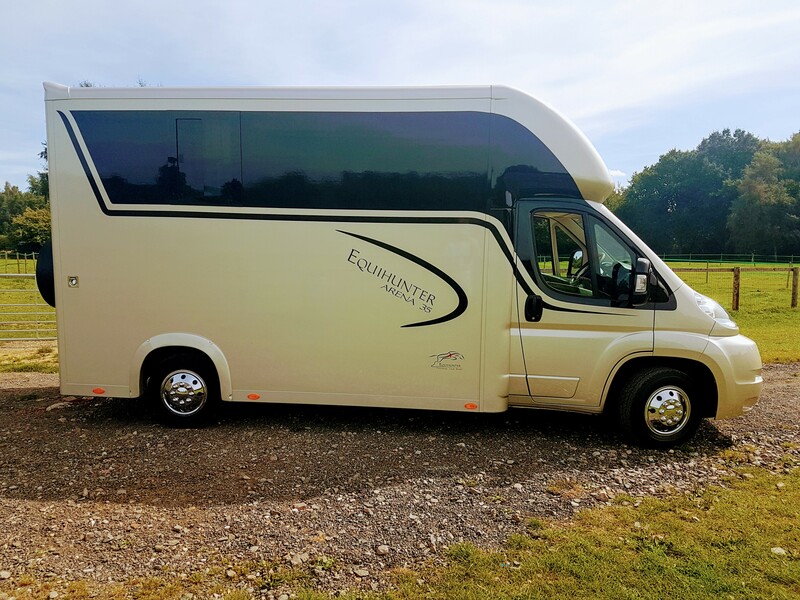 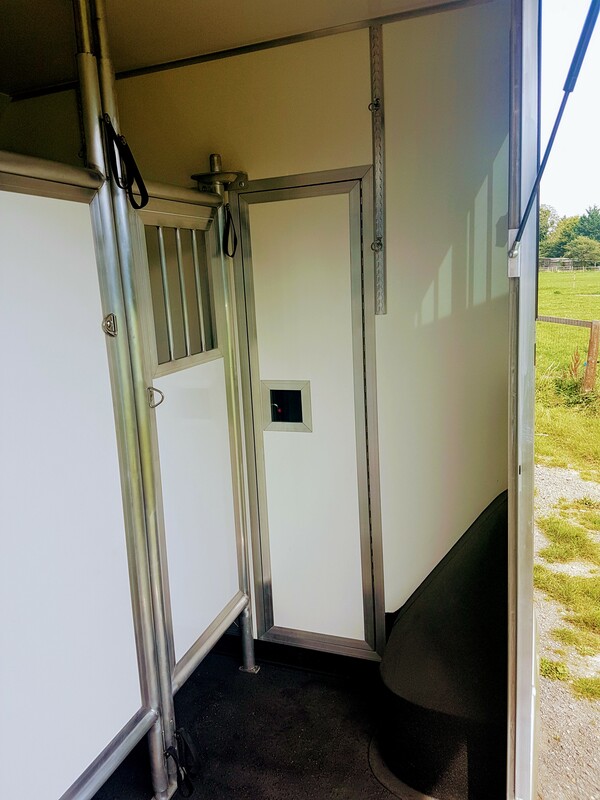 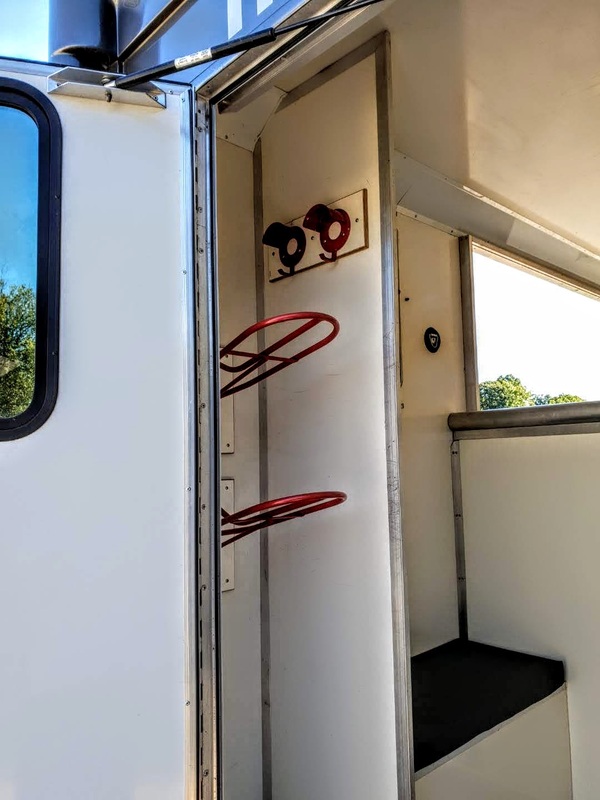 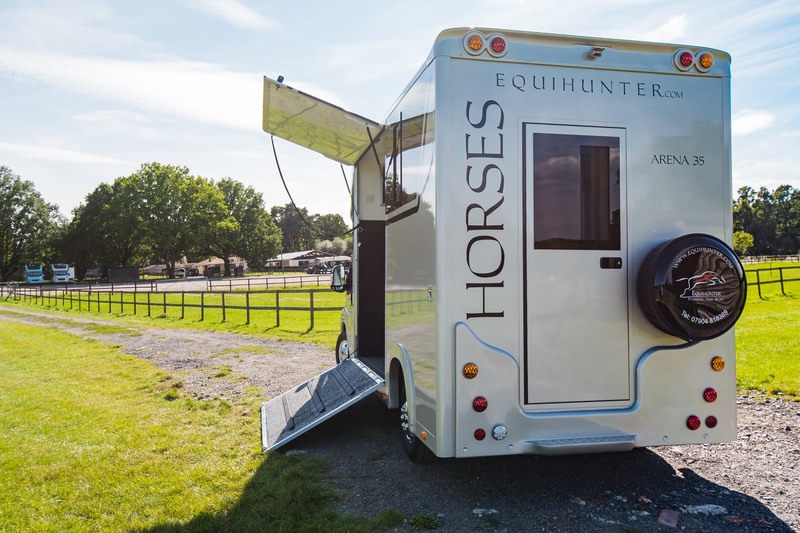 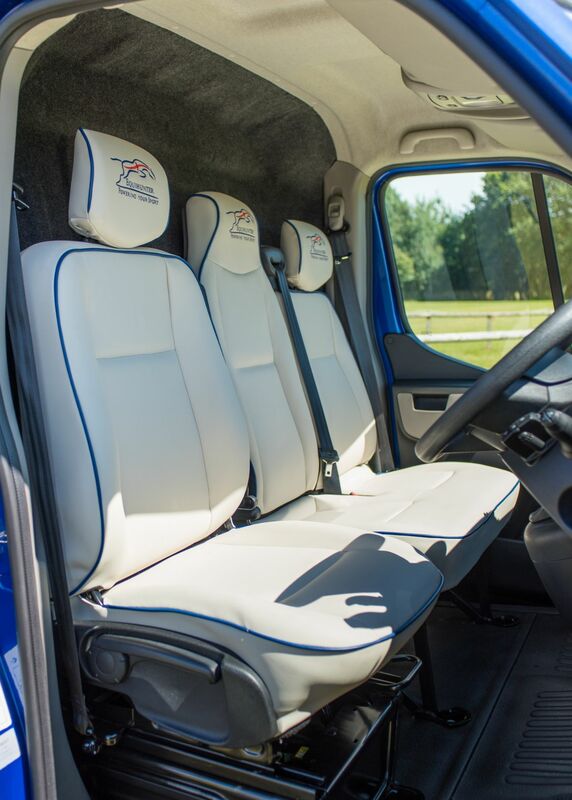 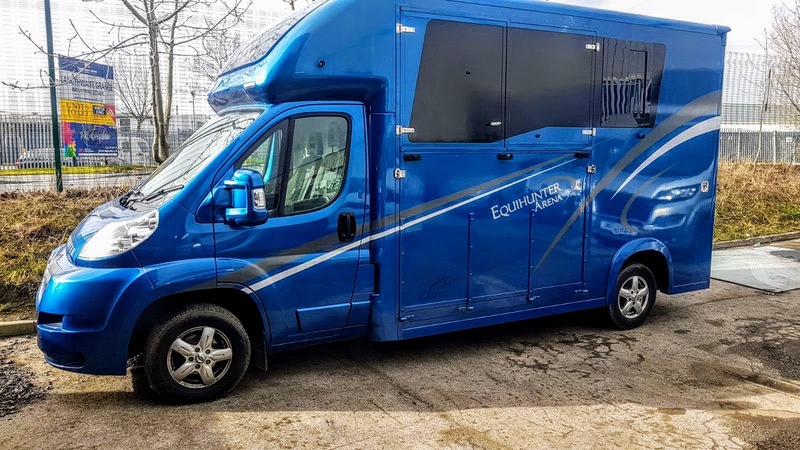 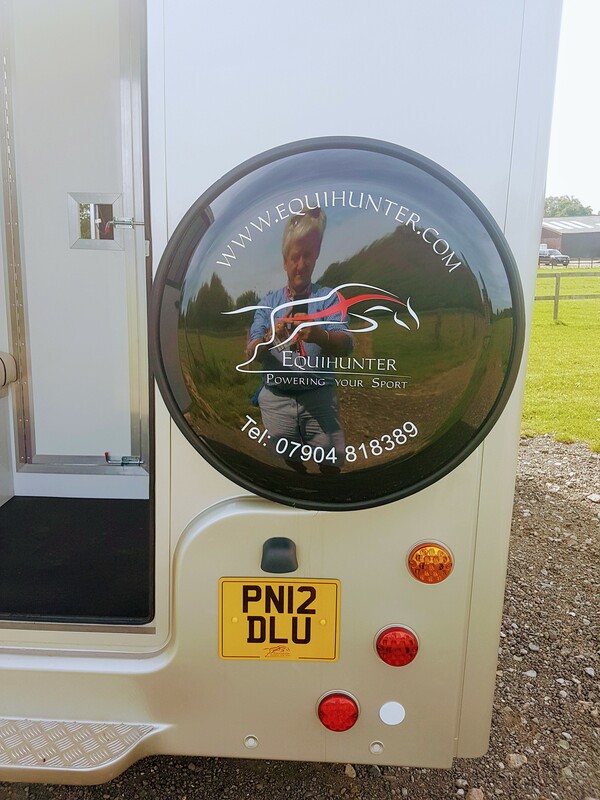 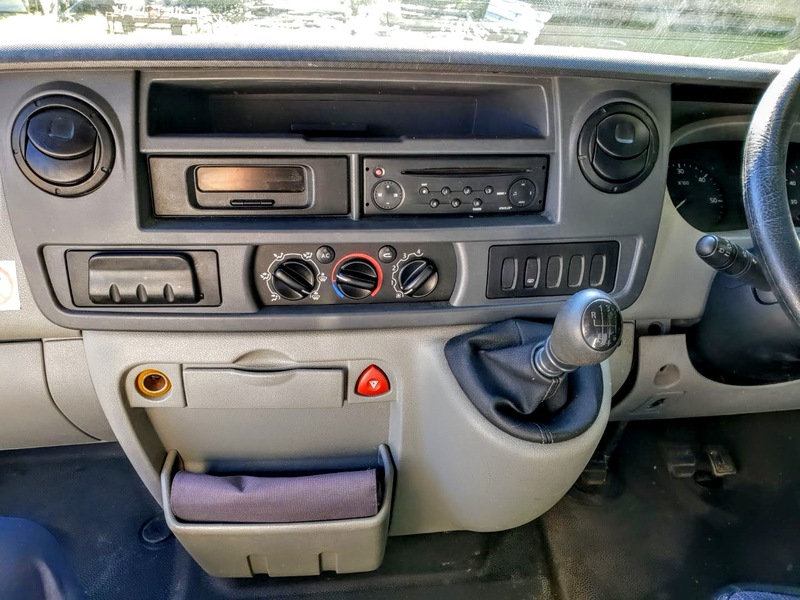 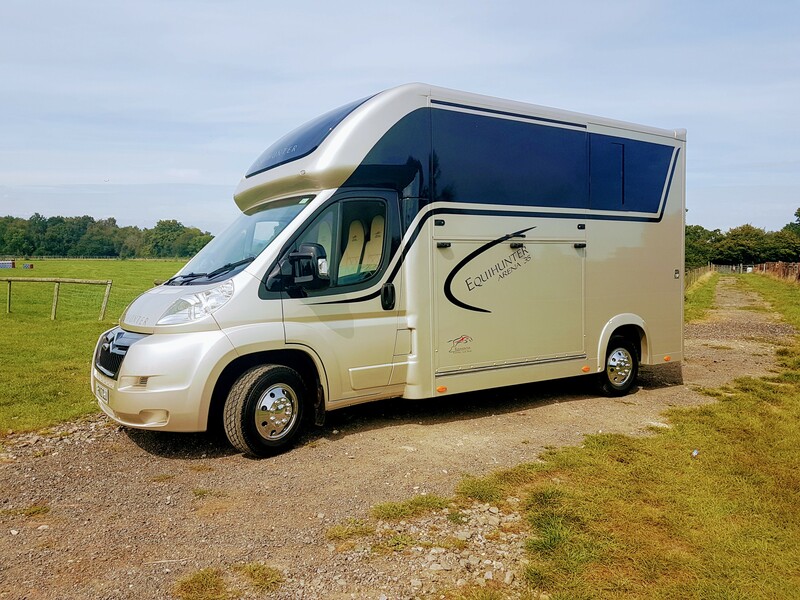 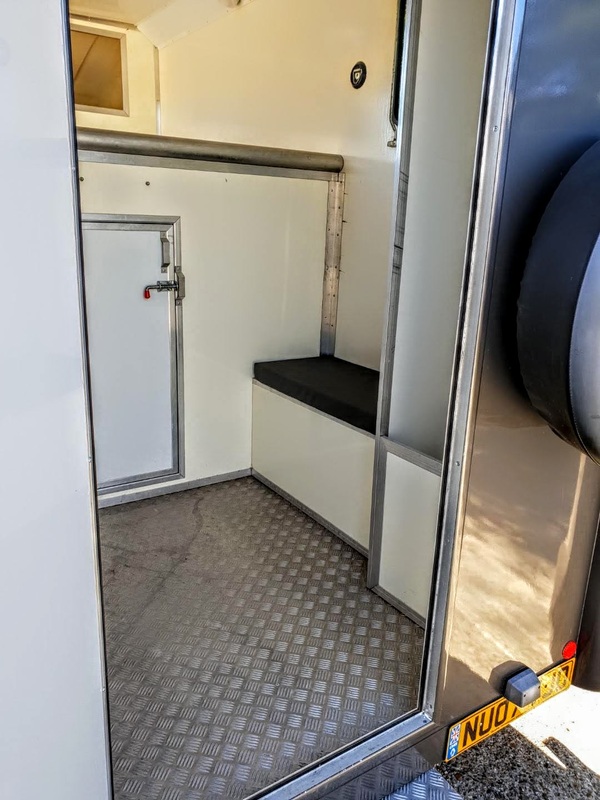 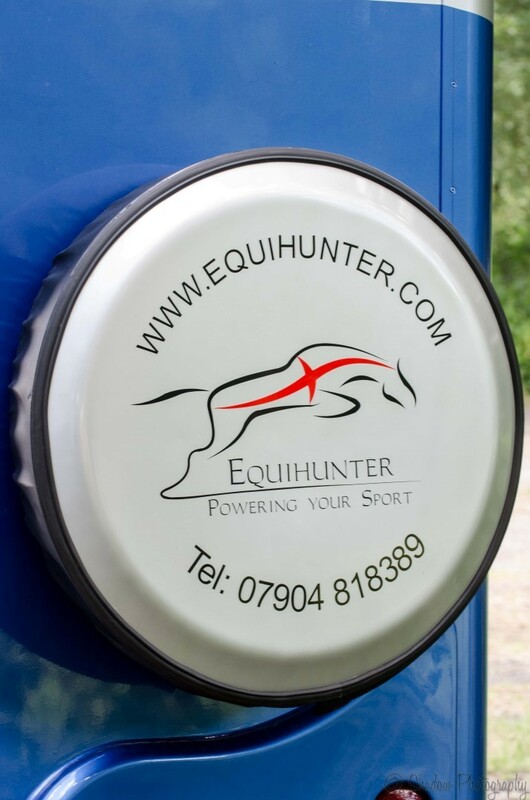 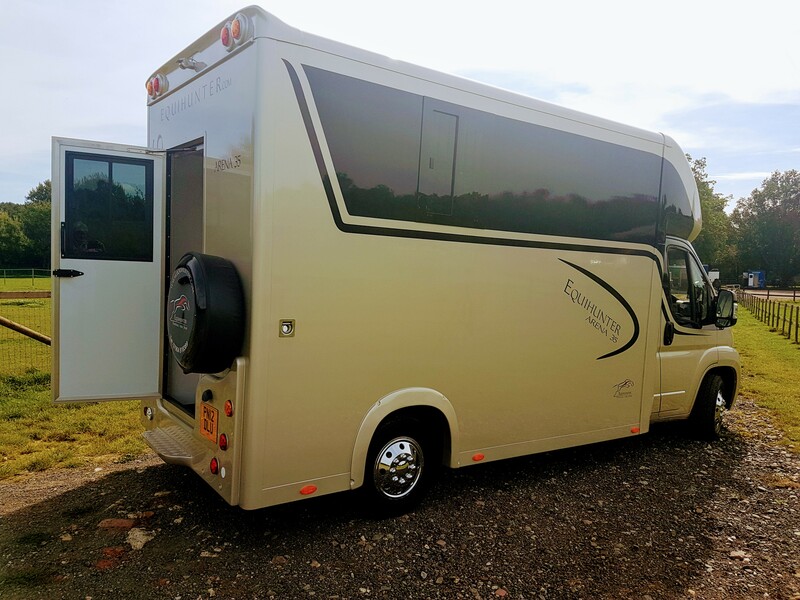 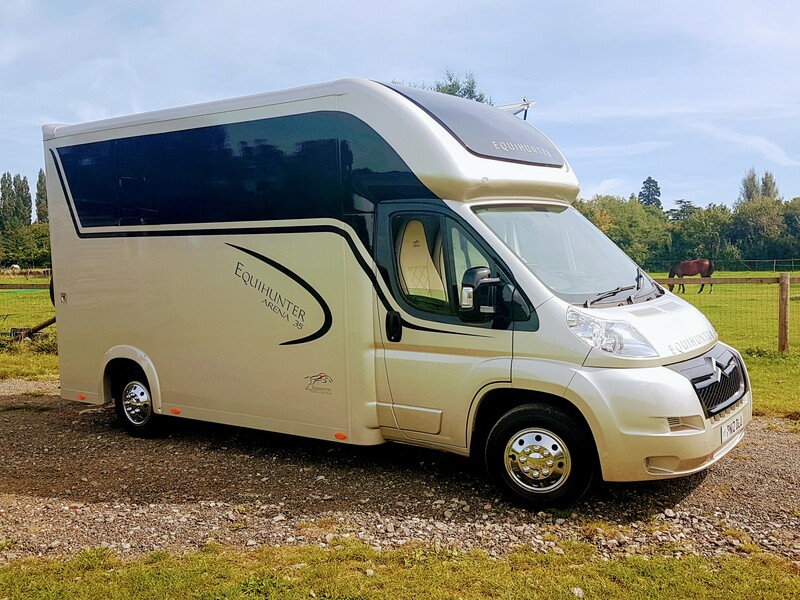 USED 2016 EQUIHUNTER ARENA 3.5 TONNE HORSEBOX FOR SALE….. 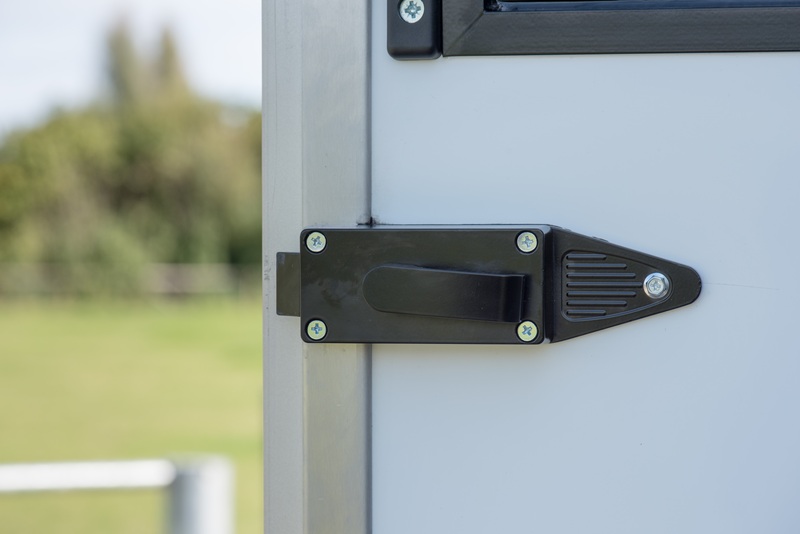 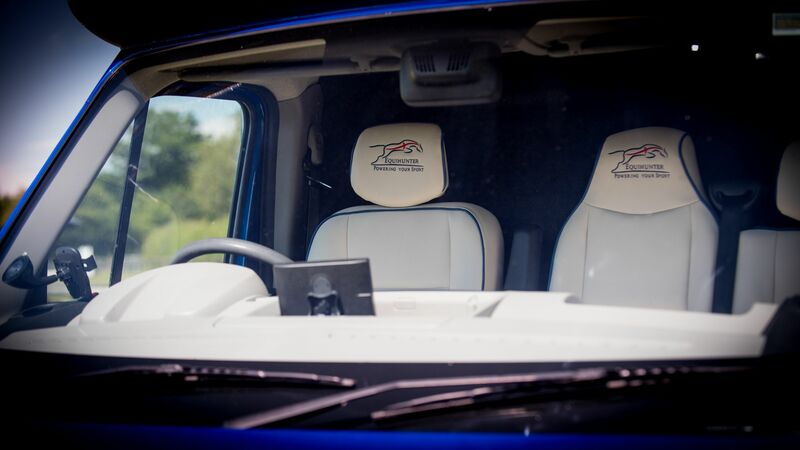 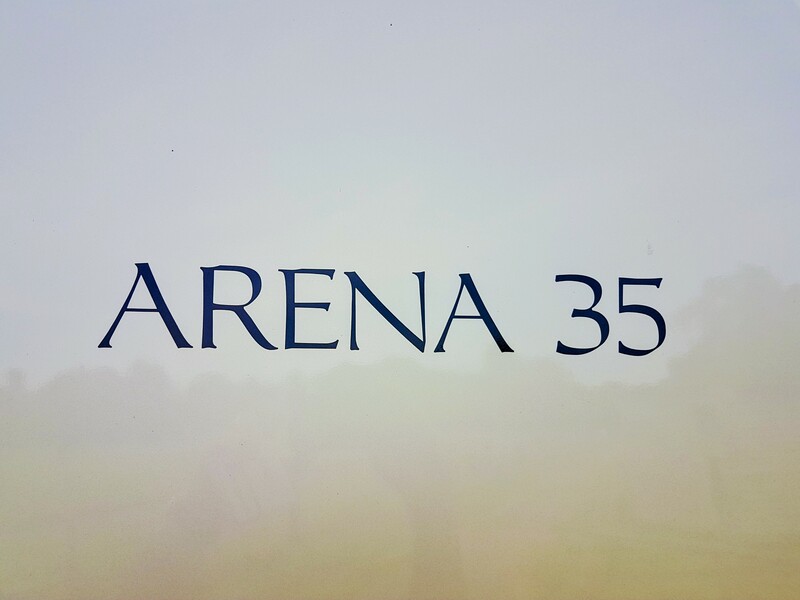 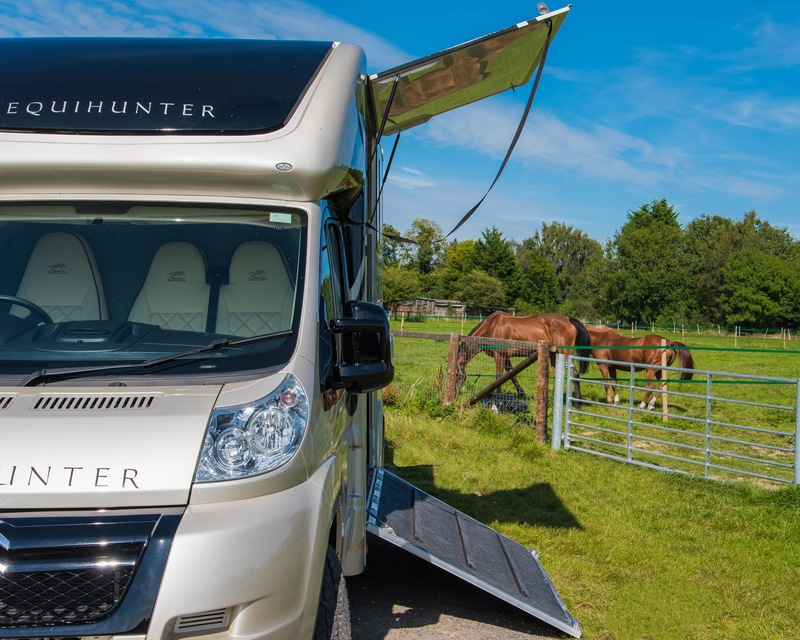 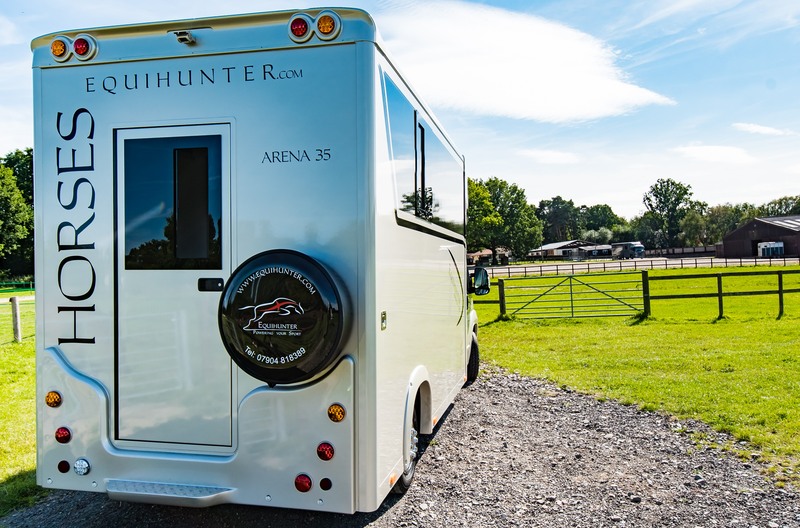 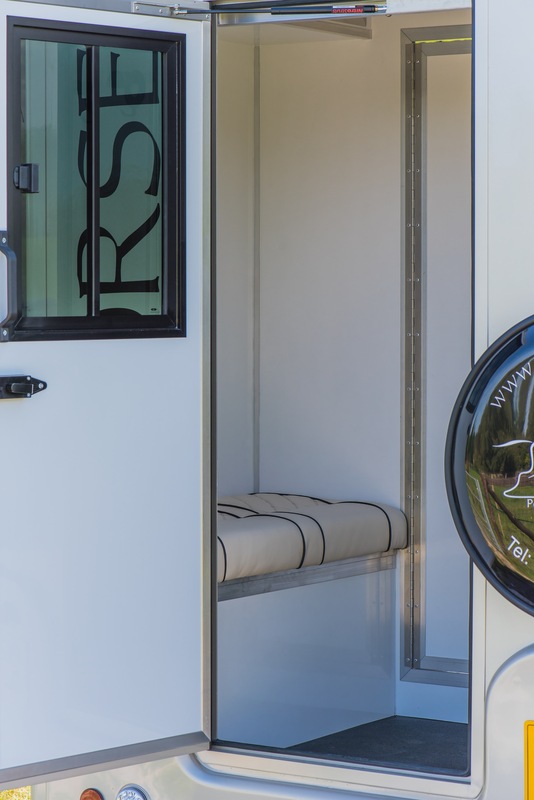 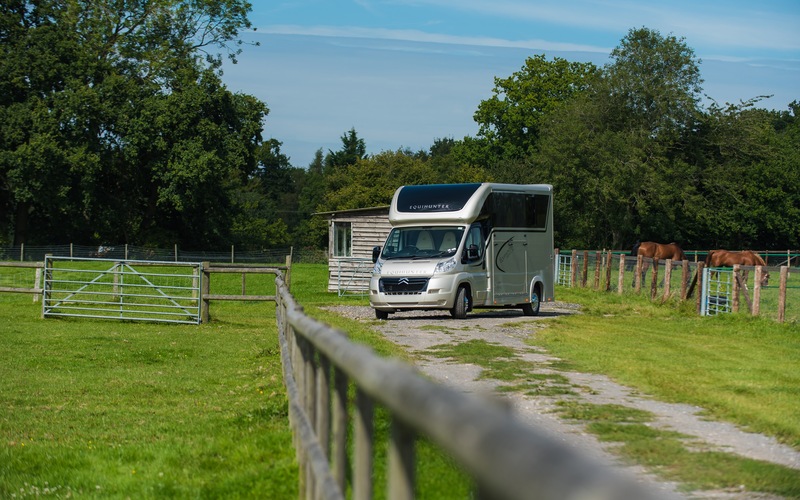 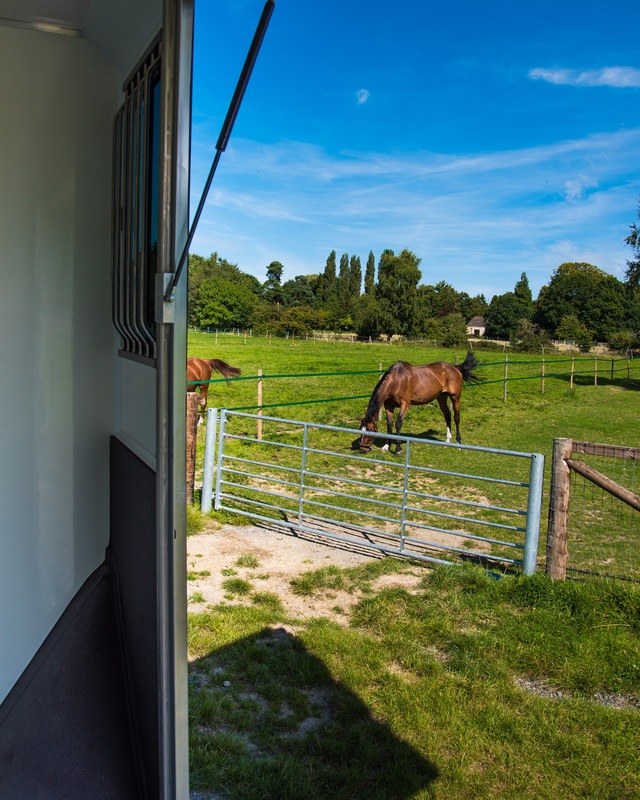 The Arena 35 is our latest model, based on the original Arena Stallion design, but now with many added refinements and our selected range of optional are now built in. 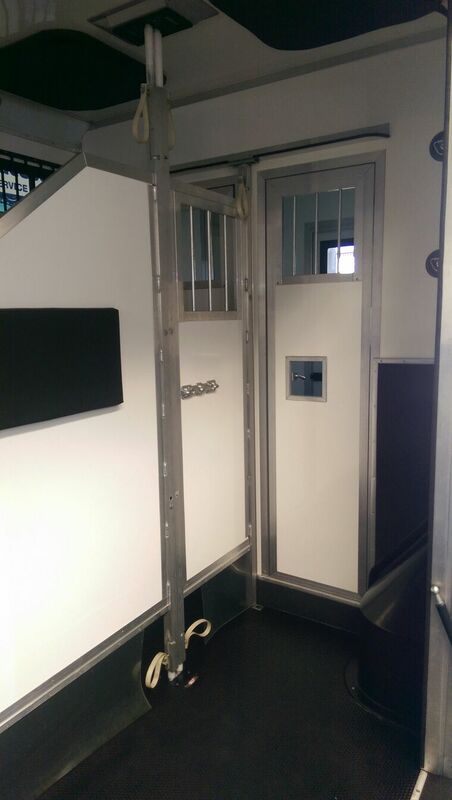 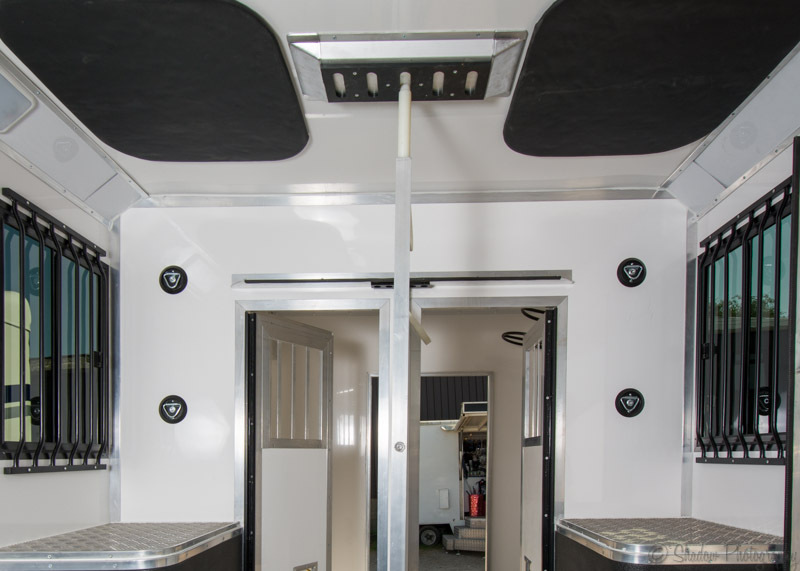 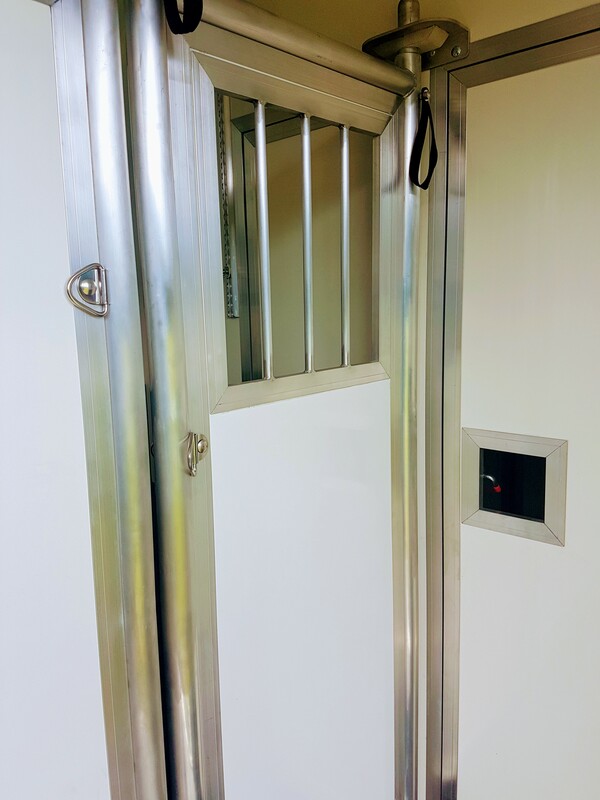 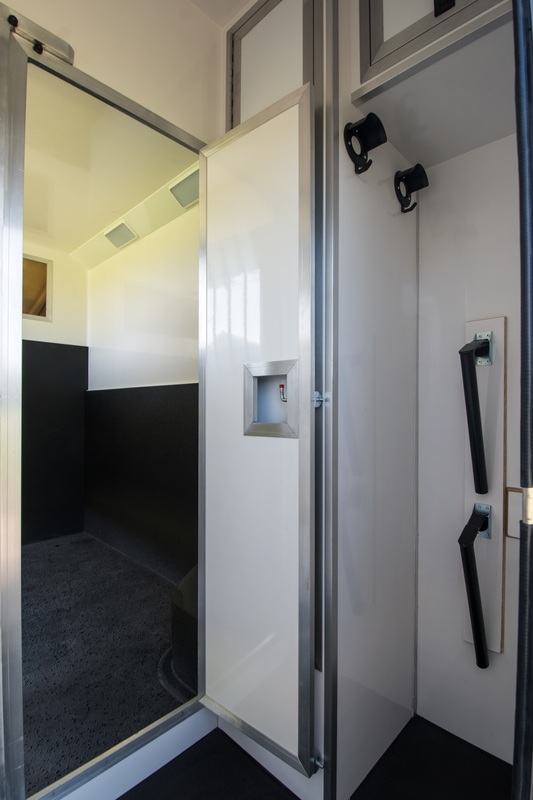 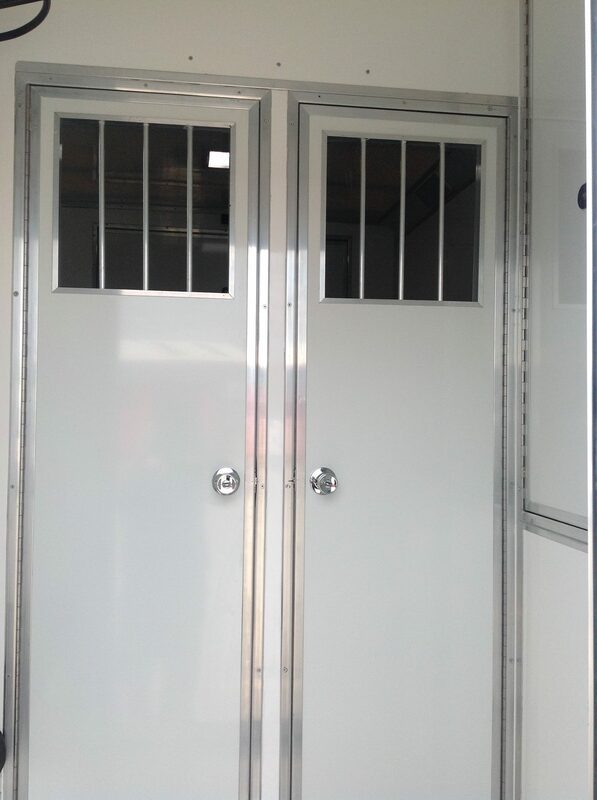 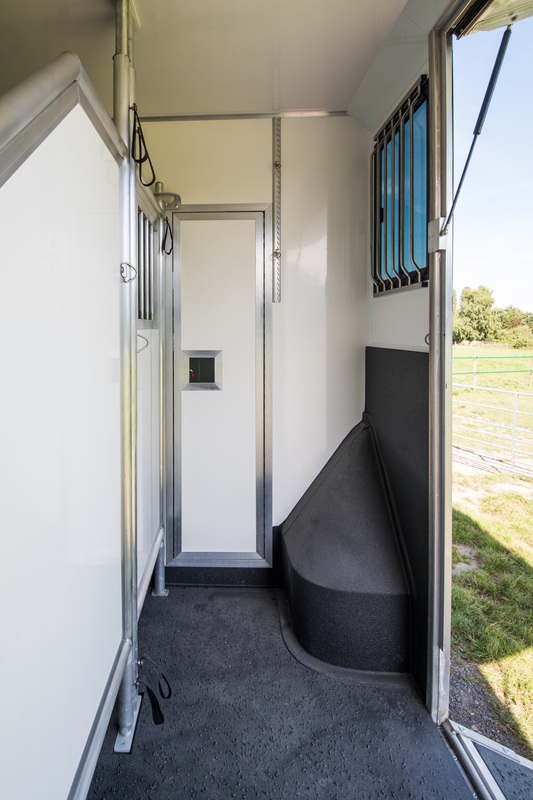 New features include enhanced partitions, new ramp styling and a horse area finished in Coat-X™ …. 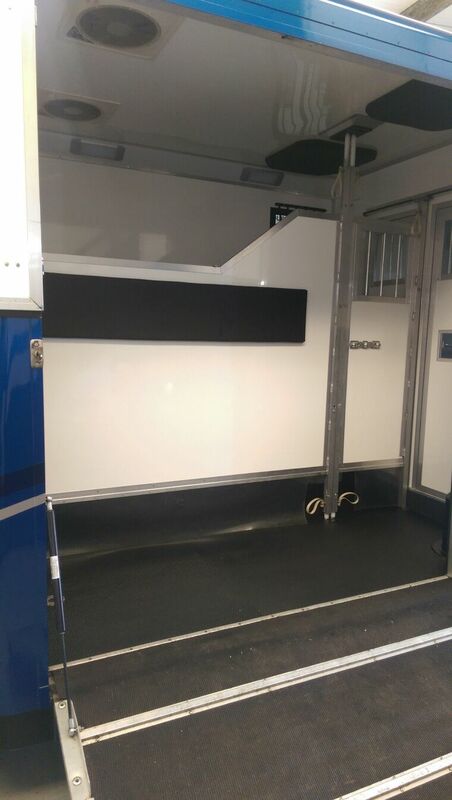 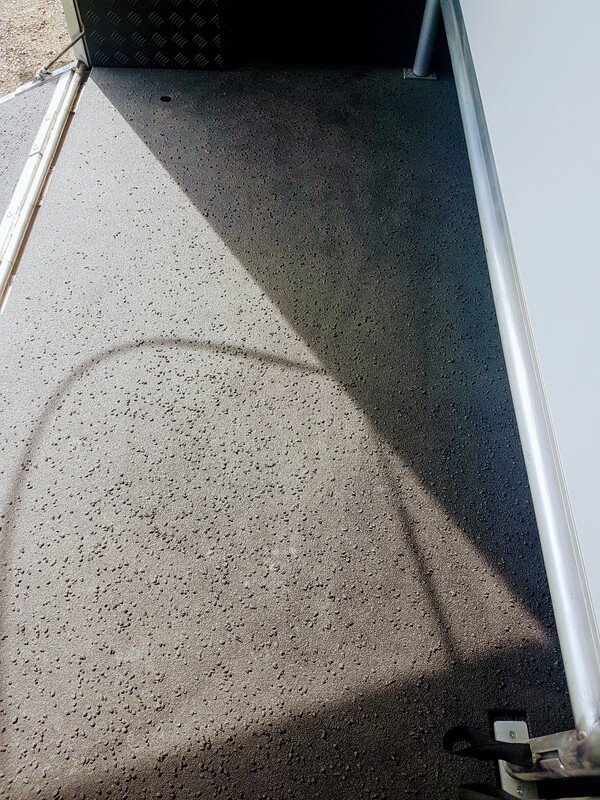 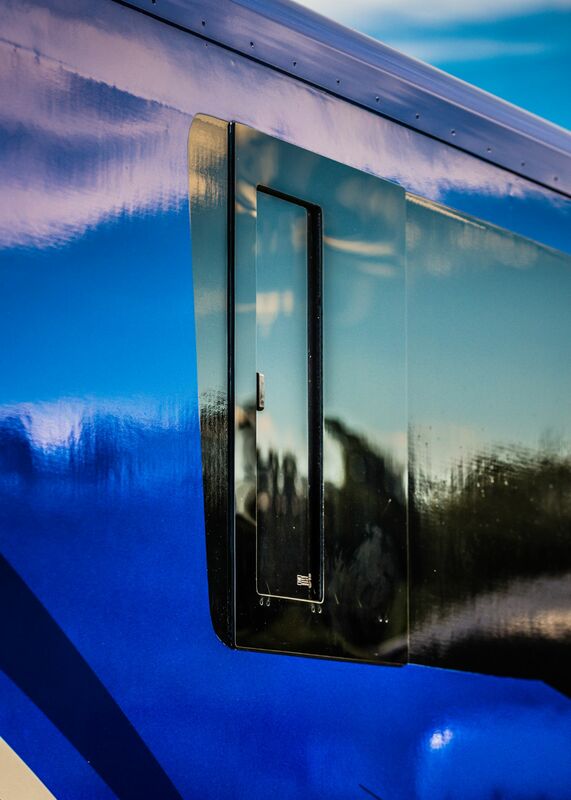 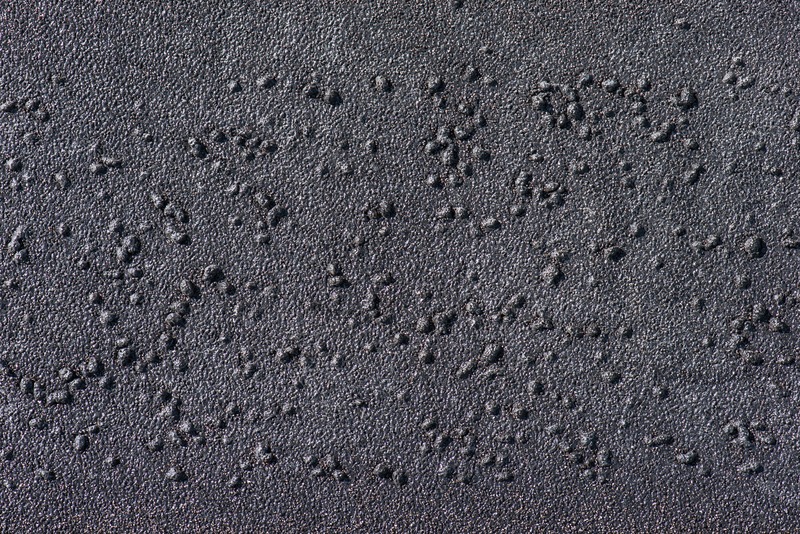 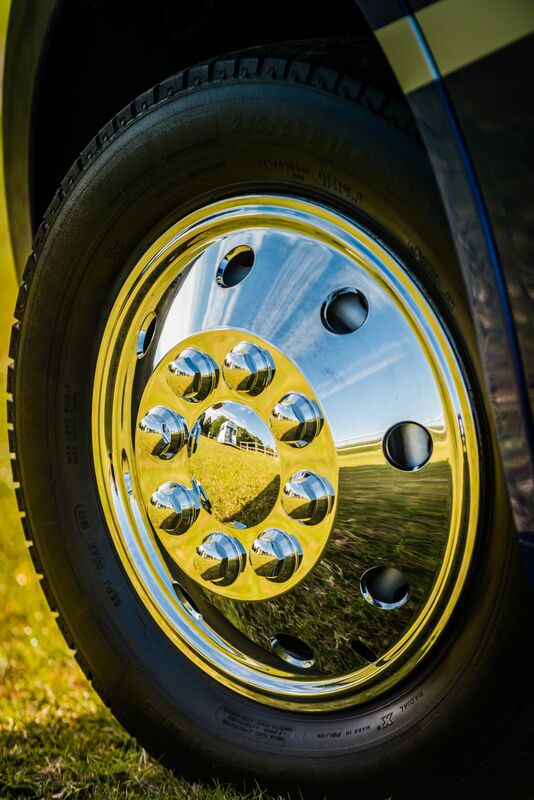 Coat-X™ .. is a spray-on protective coating or liner applied to the kickboards, flooring, wheel arch covers and ramp. 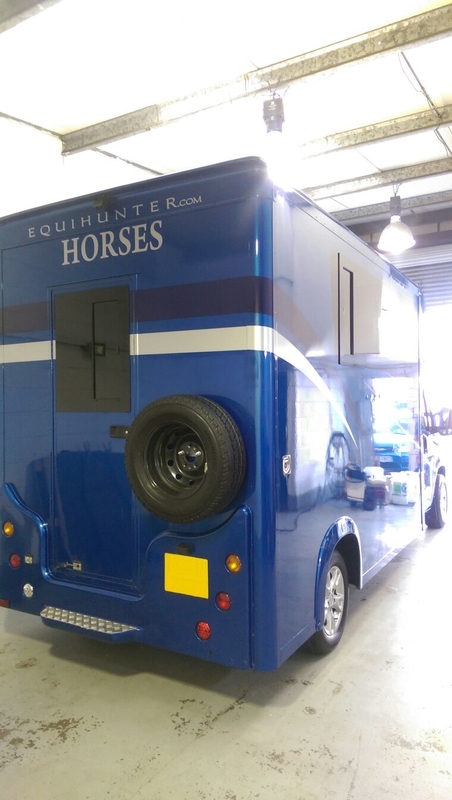 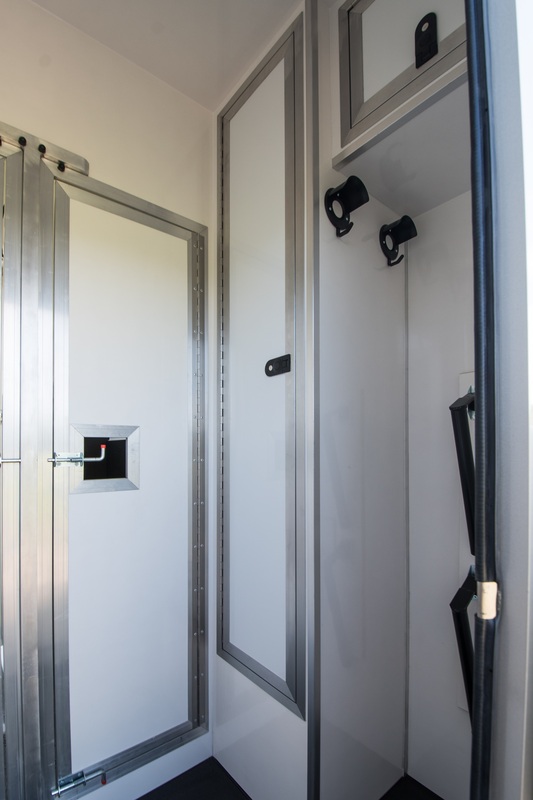 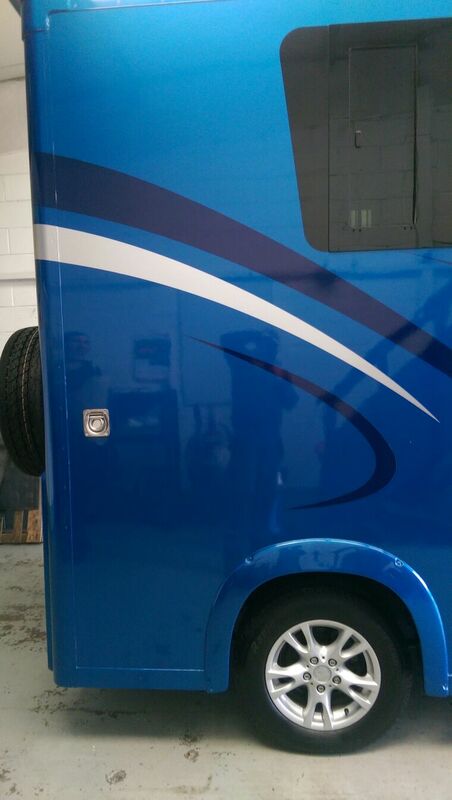 It entirely waterproofs the horse area sealing and protecting the chassis underneath. 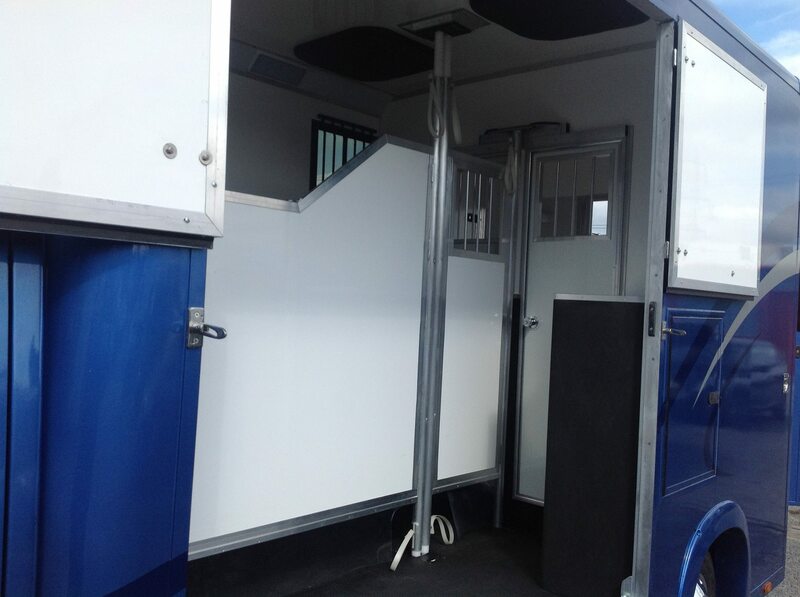 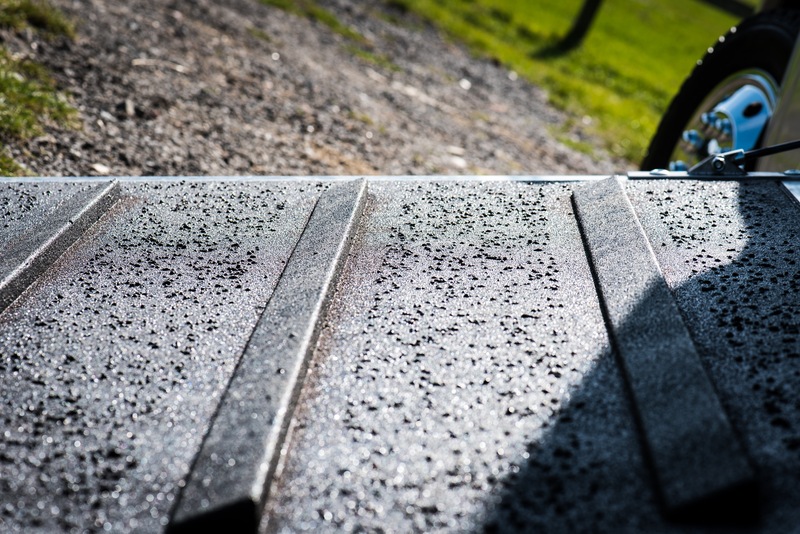 … Coat-X™ .. a truly amazing product that has revolutionised the design and build process of the horse area and ramp design. 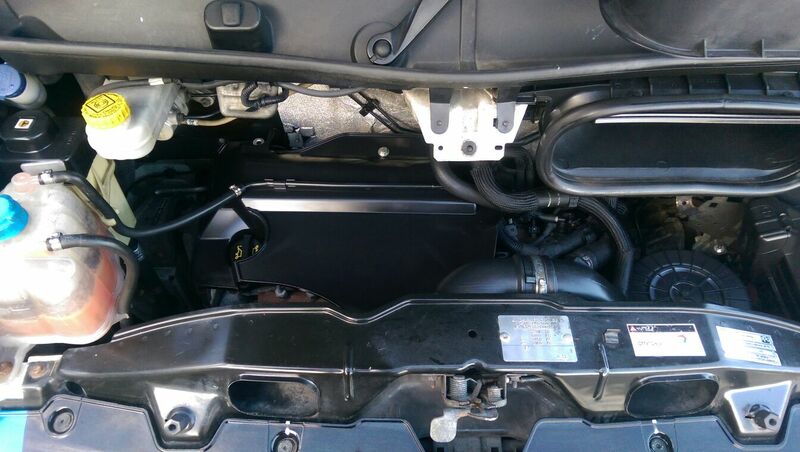 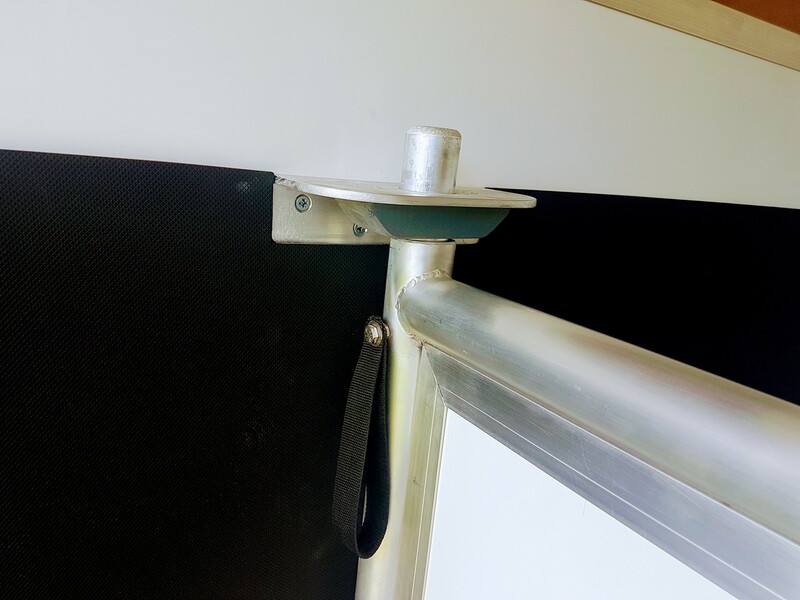 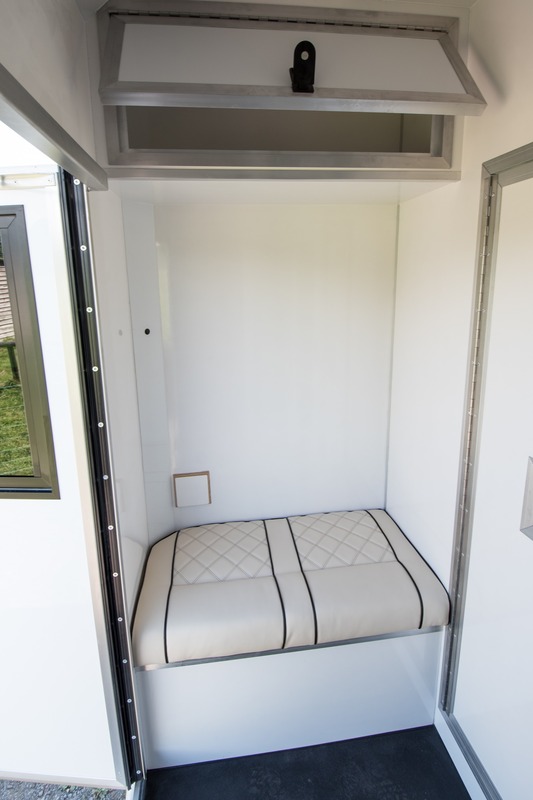 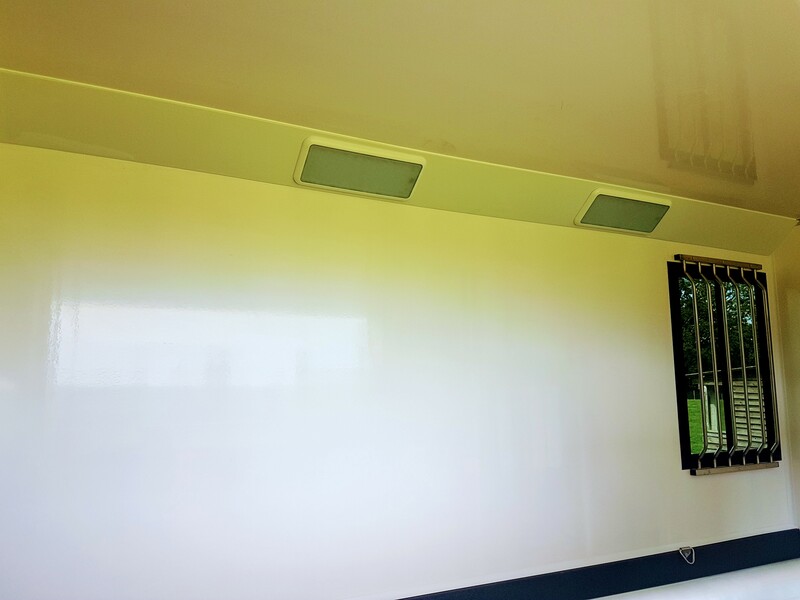 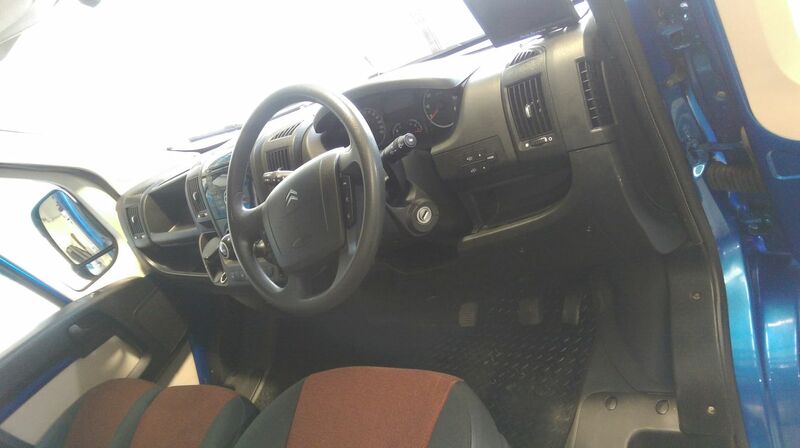 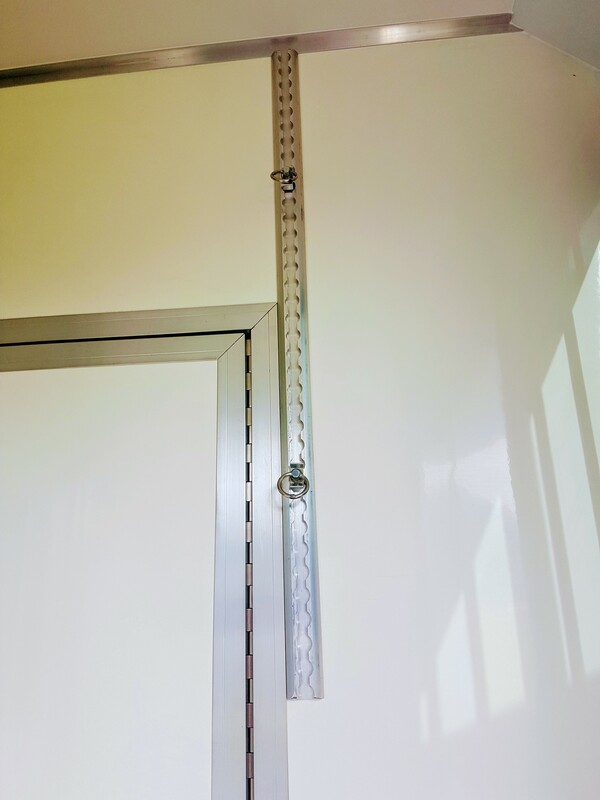 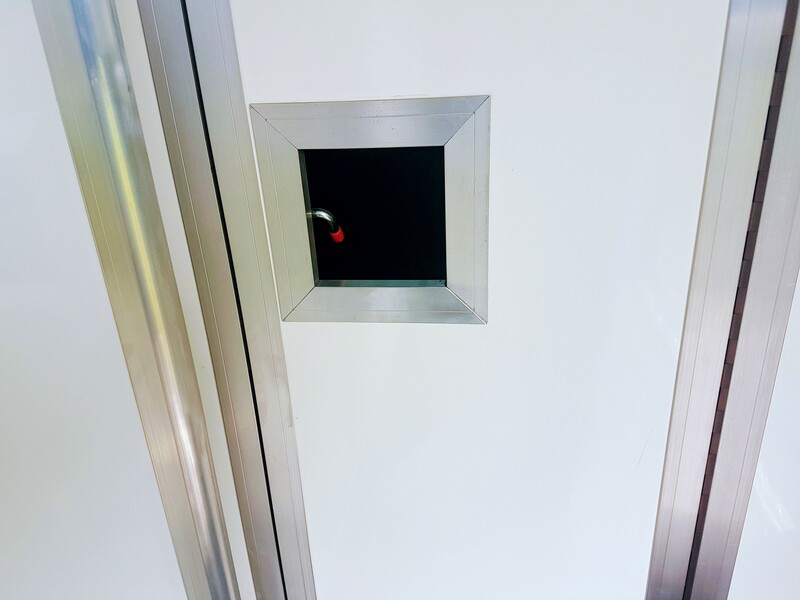 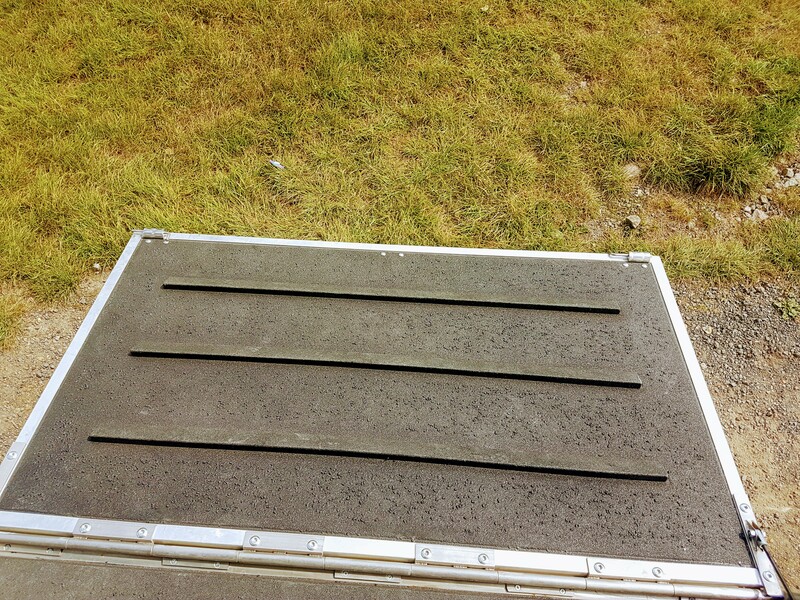 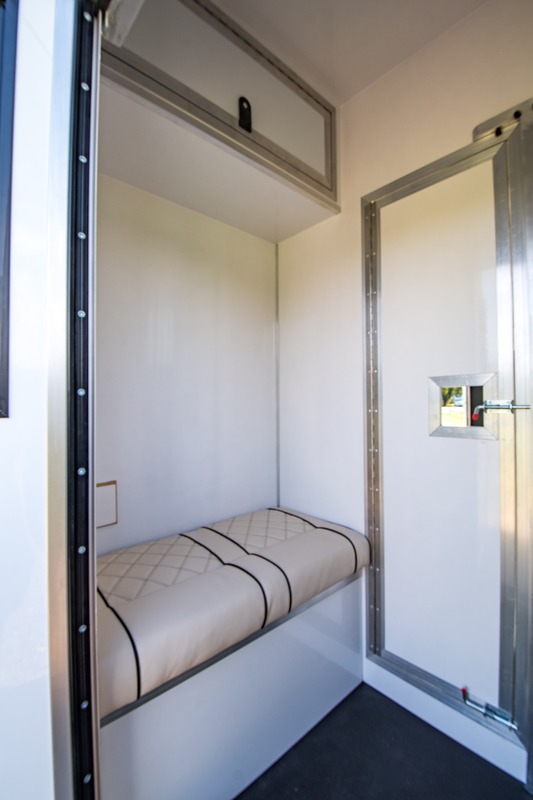 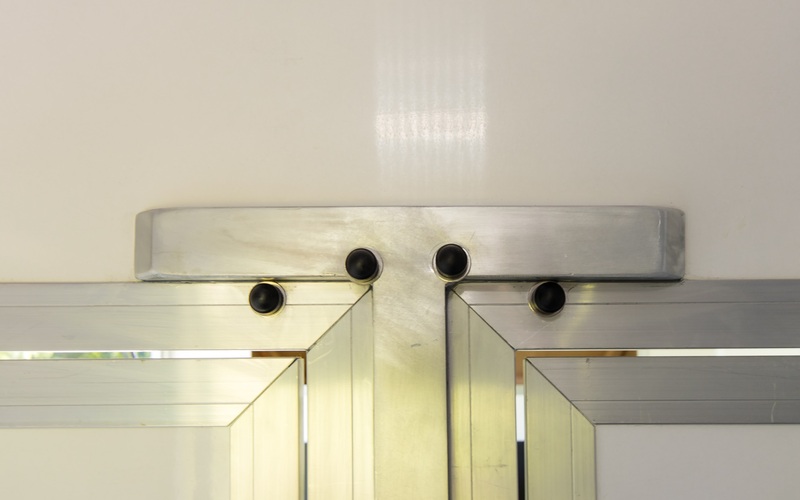 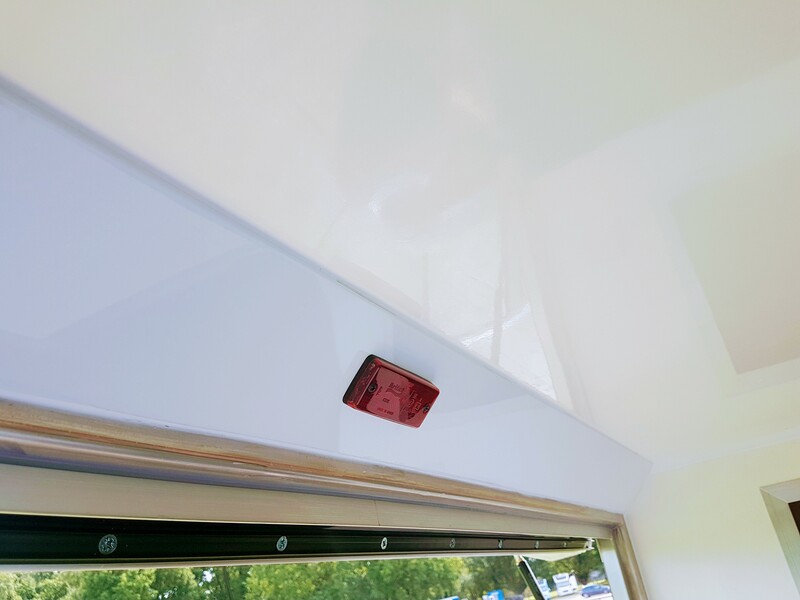 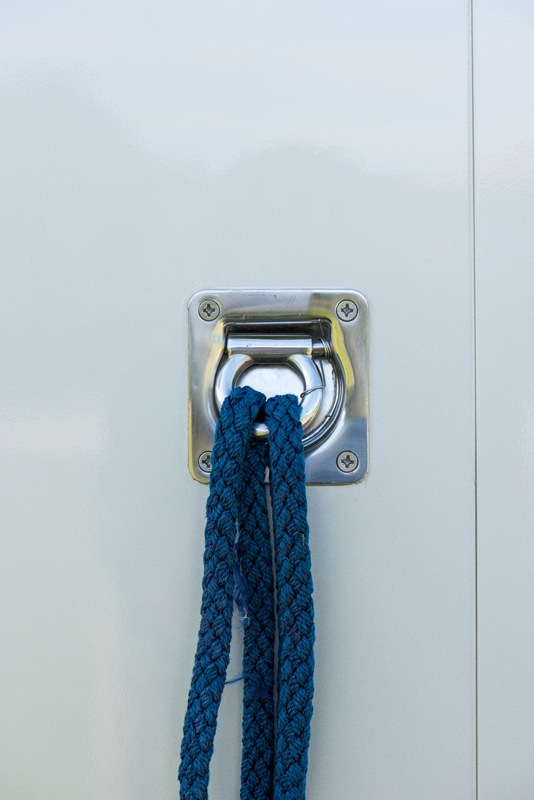 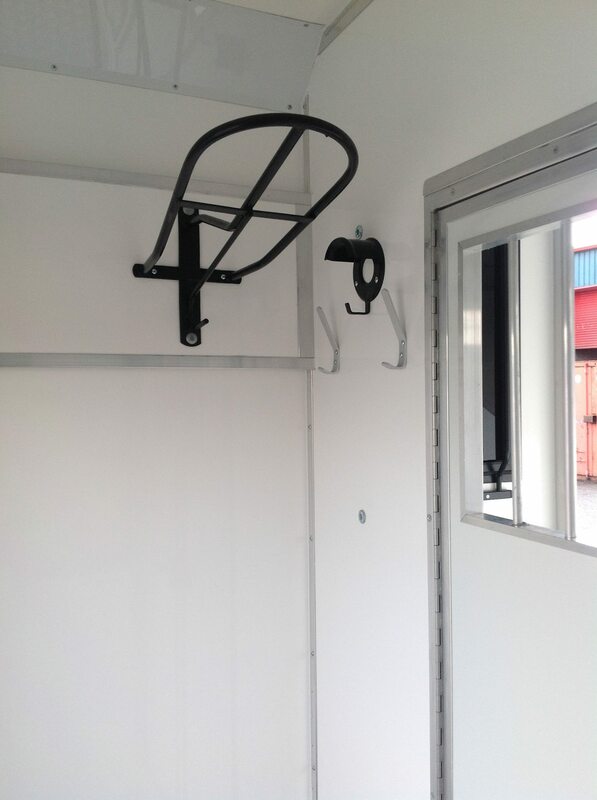 It has totally replaced kick board sheeting, heavy rubber matting, screws and capping. 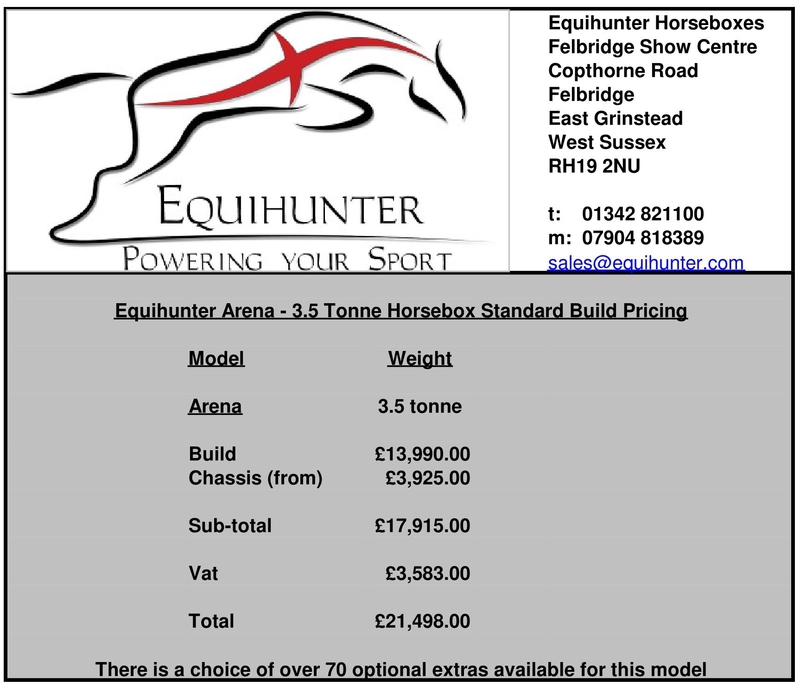 For more information, please contact us on…. 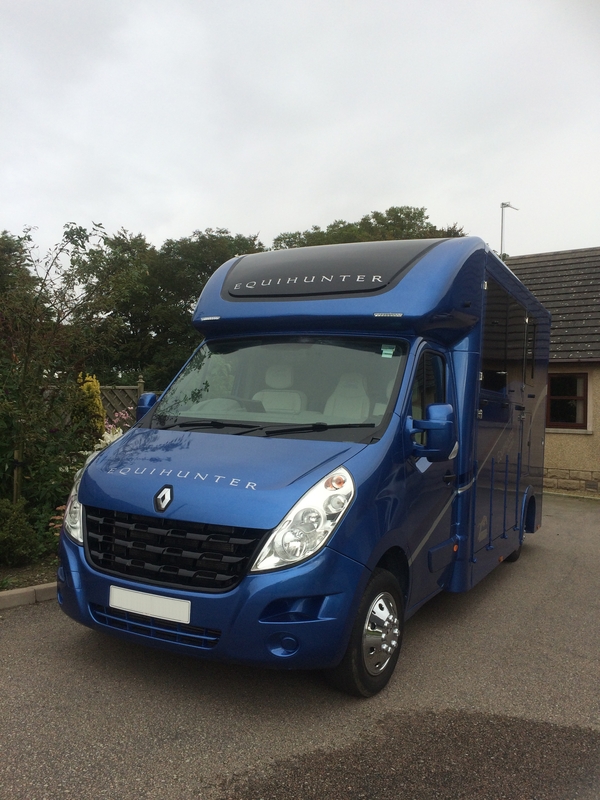 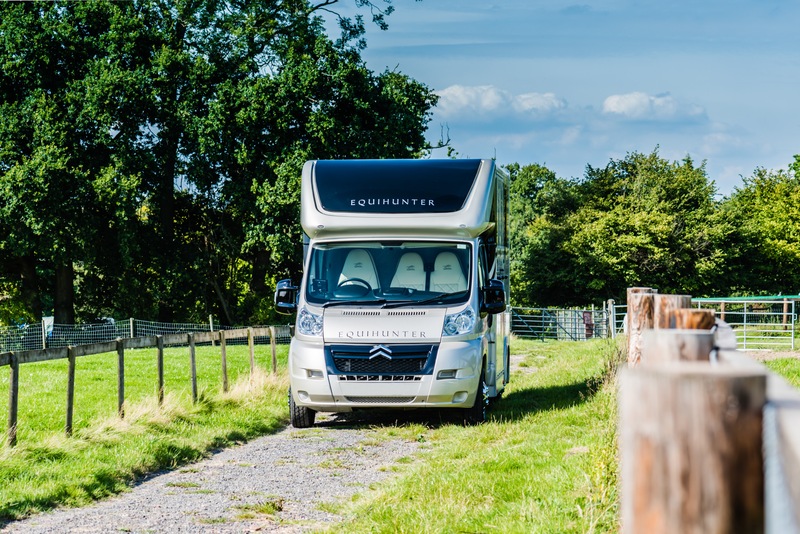 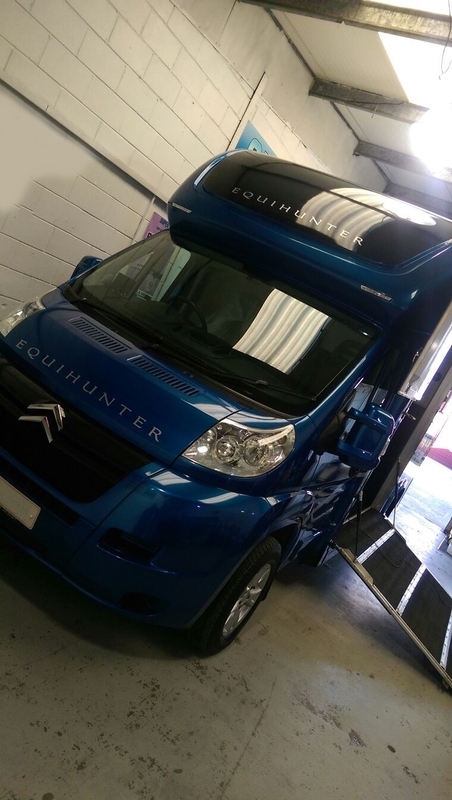 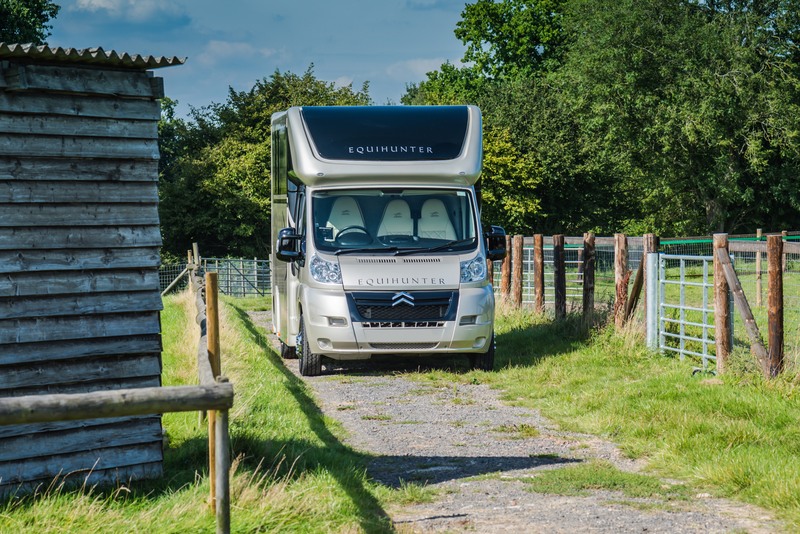 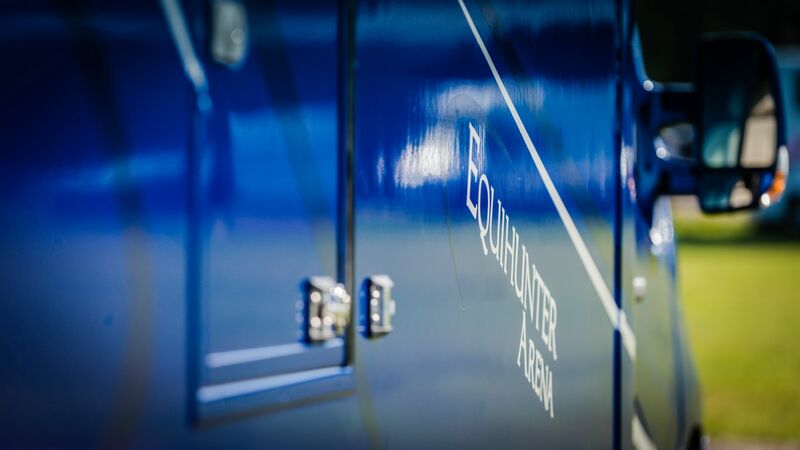 [Equihunter 17th November, 2016] It’s that time of year again when we at Equihunter and West Yorkshire Horseboxes start to think about building a new set of demonstrators for the new season next year. 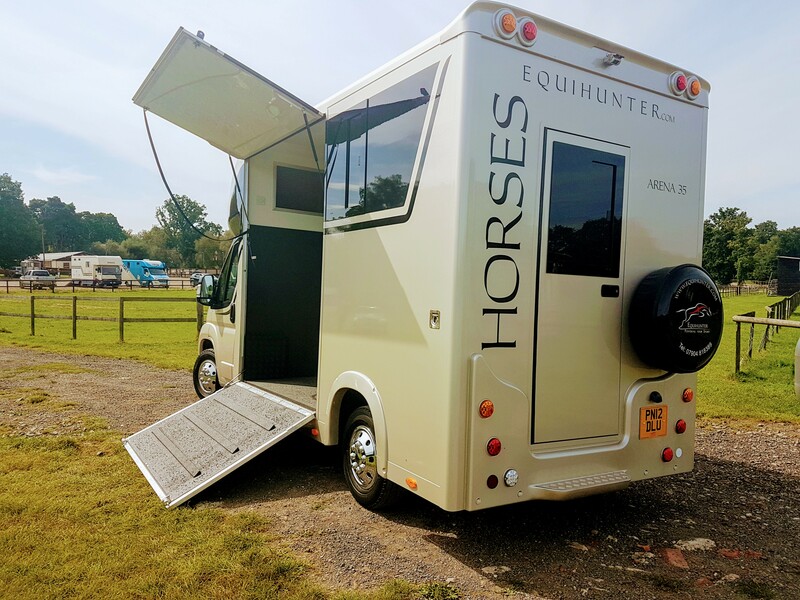 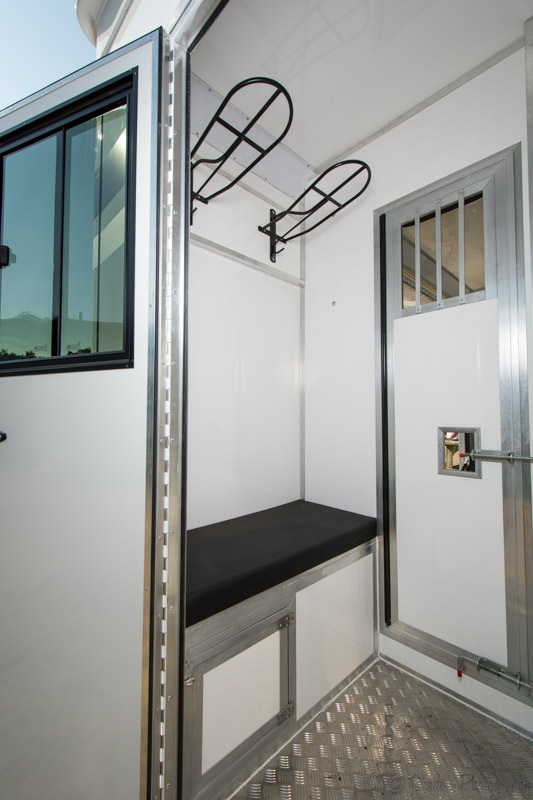 So in order to make way we are once again selling our own Demonstrator / Service Loan Horseboxes, this one is a 3.5 tonne Equihunter Arena. 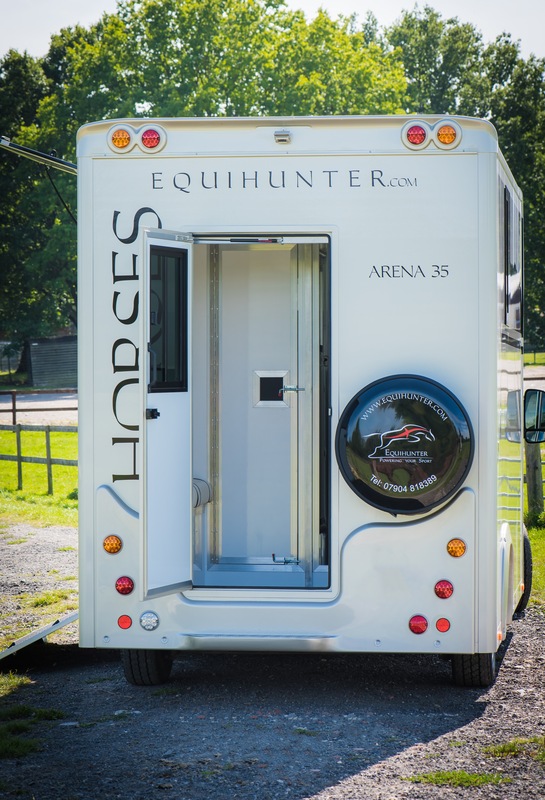 This Arena is based at sales centre at Felbridge Show Centre. 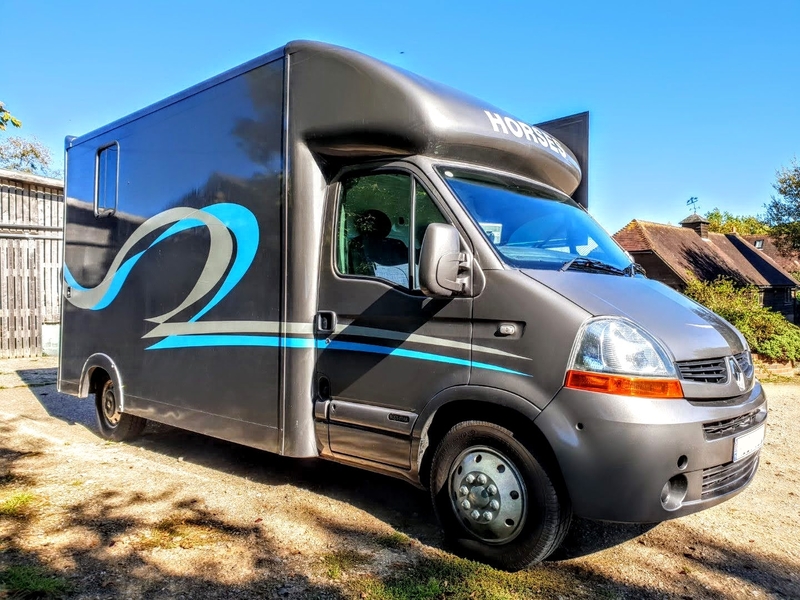 To arrange a viewing or for more information, please contact Chris Newman (call the office on 01342 821100 or mobile 07904 818389). 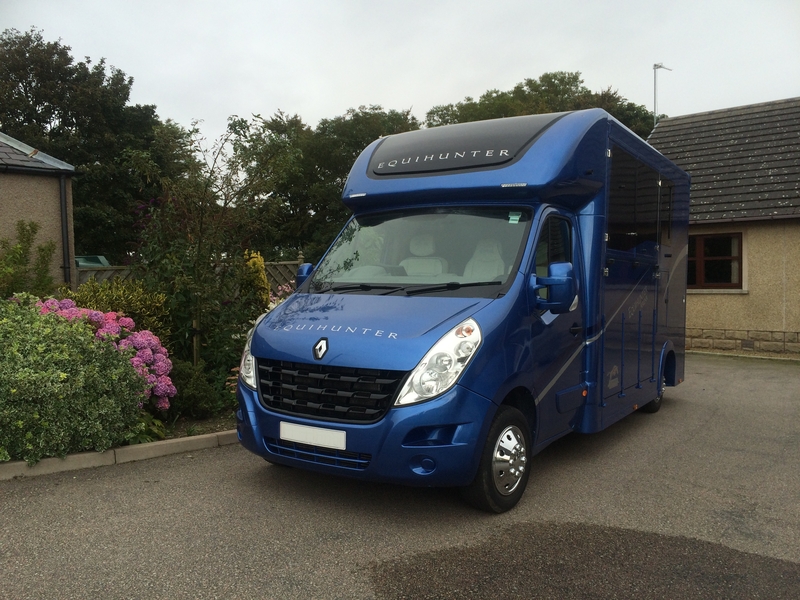 Call Chris or Dave for more information and to arrange a viewing…. 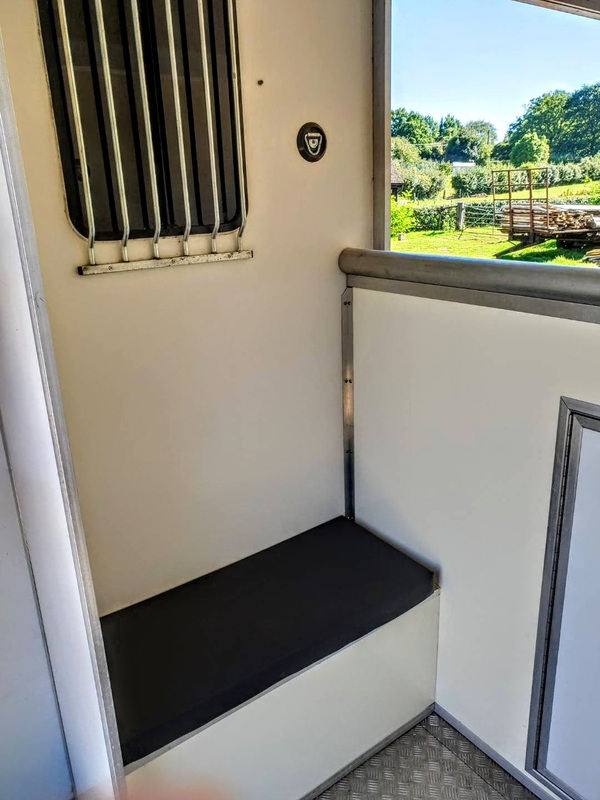 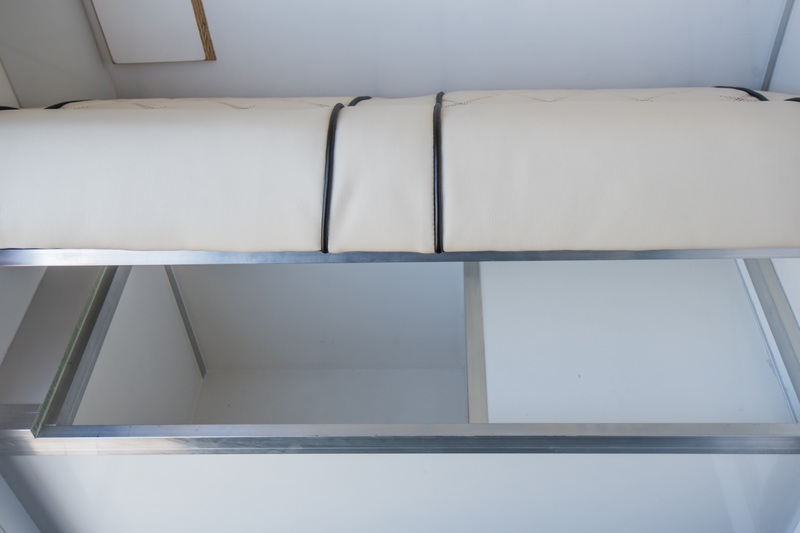 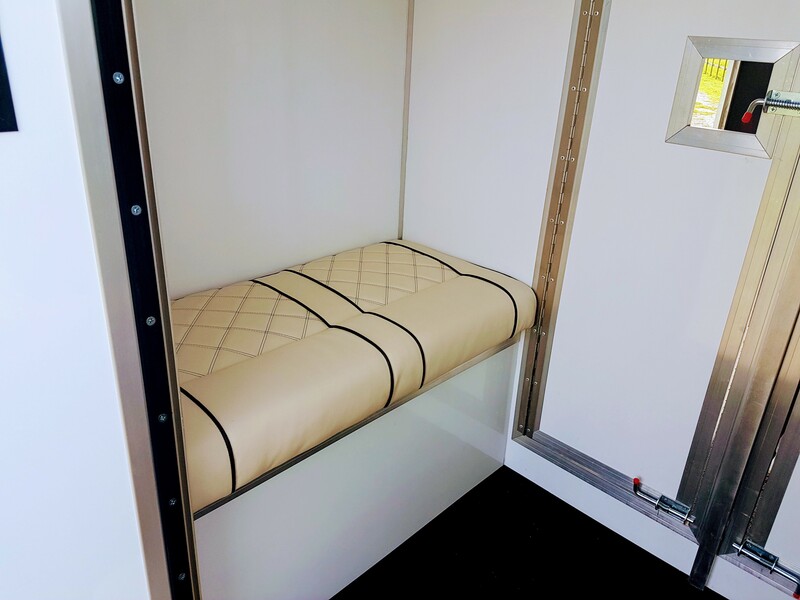 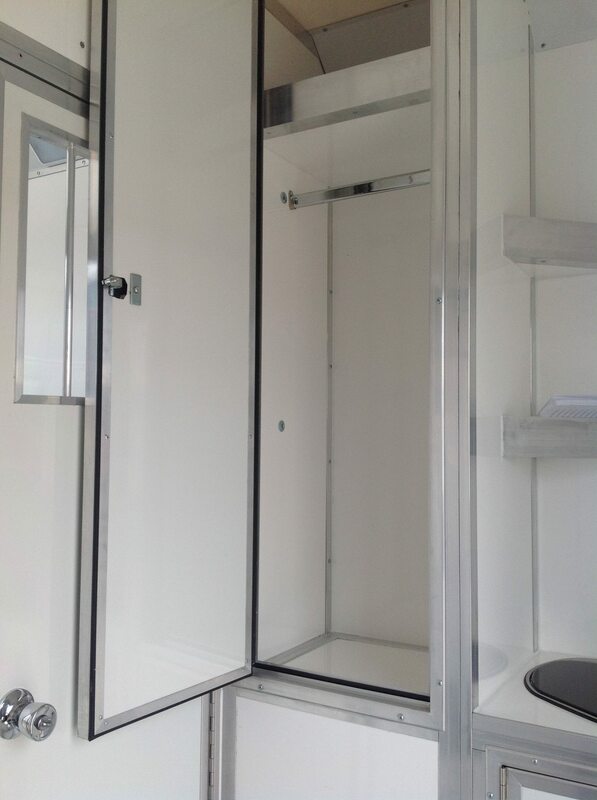 The Living Area is fitted with a wealth of features, from a 34 inch wide bed, wide opposing twin bench seats, a fridge, sink/hob unit set in a Corian® worktop, a wardrobe with hanging rail, hook-up etc…. 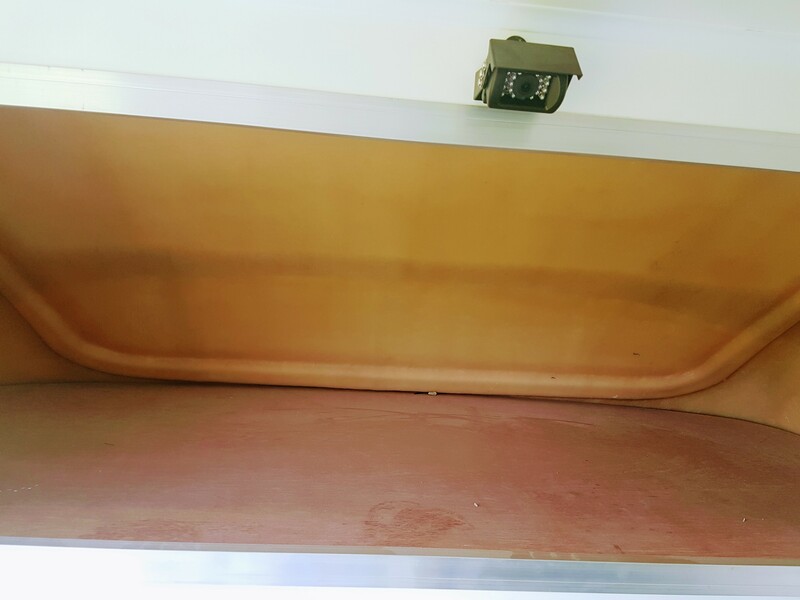 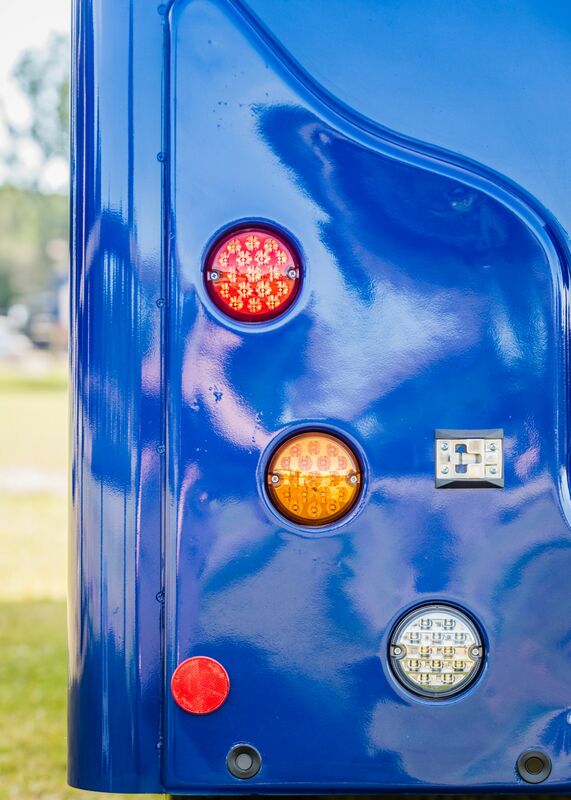 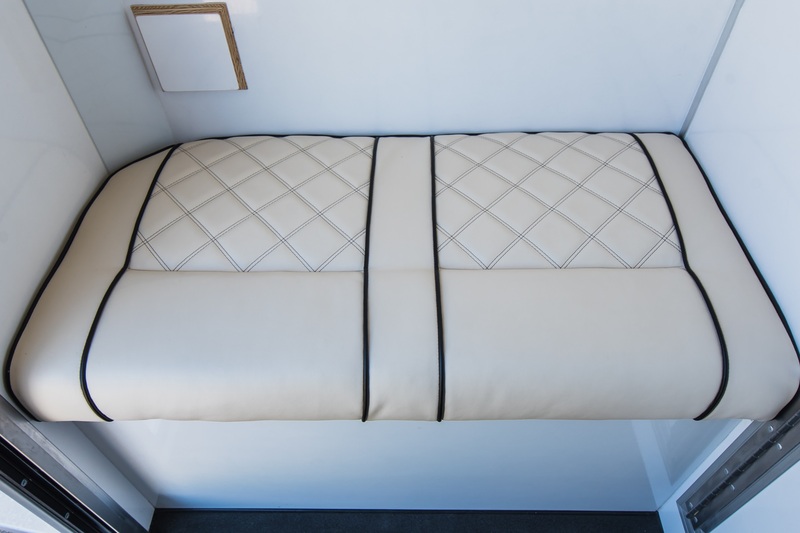 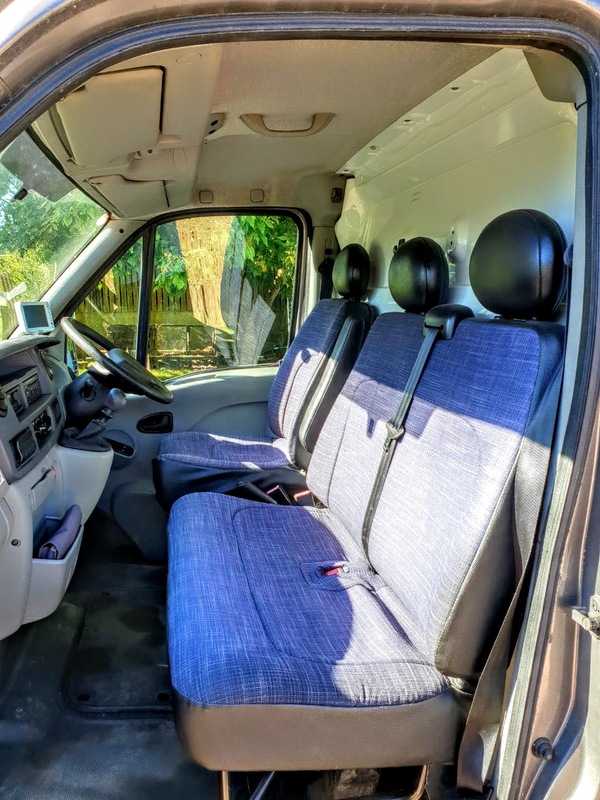 Fully lined steel bulkhead behind cab seats. 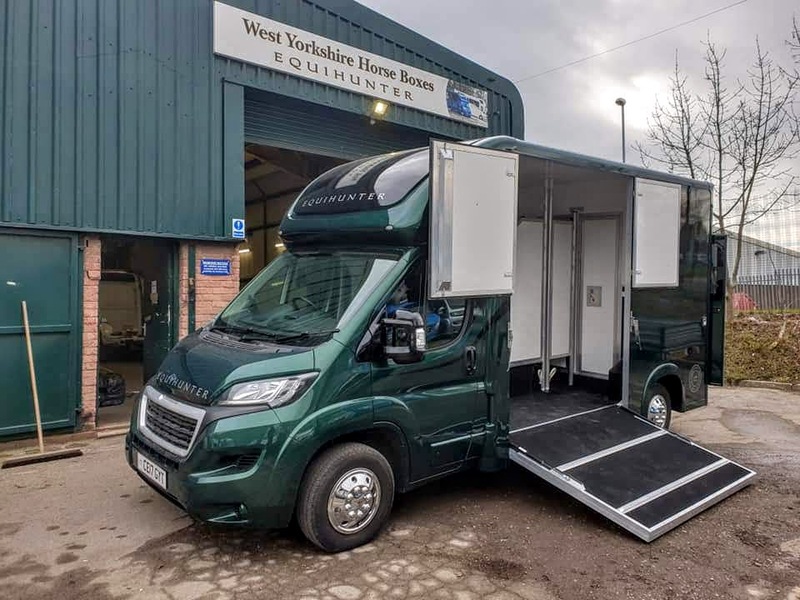 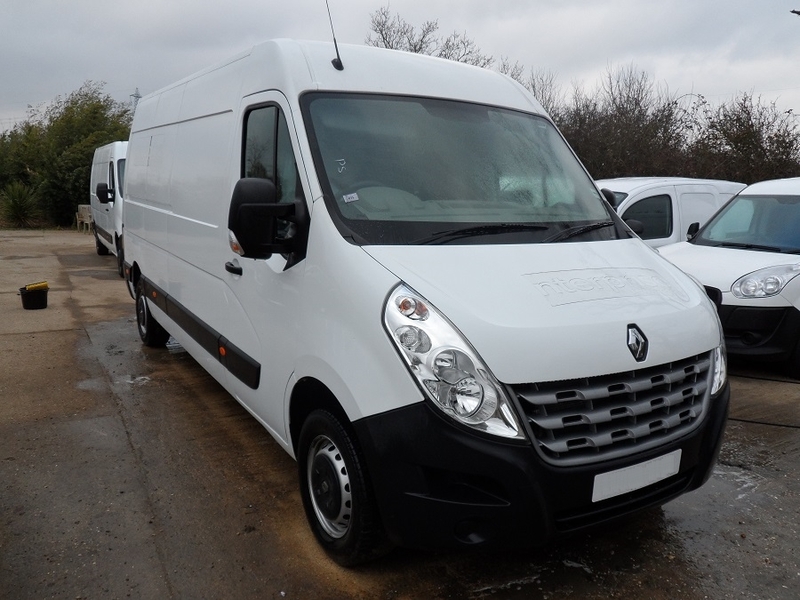 For Further details or to arrange a viewing please contact our sales centre …..
To arrange a viewing or for more information, please contact Chris Newman (07904 818389).